This site is for SDC2017. Click here for this years event. Samsung DeX is another notable accomplishment of the dedicated technical minds at Samsung. They've tirelessly pursued creating new possibilities for technologies to help users break preconceived notions of what they can and cannot do or how they are "supposed" to use their devices. Jack truly appreciates being part of Samsung DeX. Prior to joining Samsung, Jack focused on delivering mobile and mobility solutions to enterprise customers. At Samsung, Jack is responsible for Knox and Knox related services along with Samsung DeX, Email, Samsung Focus, and Smart Key services. Jack enjoys problem solving with engineers from all walks of life. Talal Alhammad is a Strategic Partnerships Lead at Boxed, an online wholesale club revolutionizing the e-commerce industry based in New York City. Prior to Boxed, Talal worked at Uber launching the operations in the Middle East where he focused on the company’s growth and marketing in the region. Before plunging into the world of tech, however, Talal was a consultant at McKinsey & Company. Talal holds a MBA from Stanford Graduate School of Business and B.A. in Government from Harvard University. Rama Allen is a director, writer, photographer, musician, and DJ living and working in NYC. He develops and directs for multiple mediums from film to interactive to experiential design. From blank page to strategy, design through implementation, he manages teams over the course of the entire think + make process. Rama has directed campaigns, titles, and music videos for the likes of HBO, Levi's, Microsoft, Grey Goose, MTV, Sony Records and American Express. When not working, he is traveling and shooting or speaking on creative process at various art schools, conferences, and universities. Daniel Appelquist is the Director of Web Advocacy for Samsung Internet. Dan has been working on the Web before the Web was the Web. He is a web and mobile industry veteran, writer and speaker, having worked for dot-coms, telcos and the UK government. In 2005 he founded Mobile Monday London and the W3C Mobile Web Initiative. He currently co-chairs the W3C Technical Architecture Group with Sir Tim Berners-Lee. He has been and remains an advocate for the open web. David O. Barbe, MD, MHA, a board-certified family physician from Mountain Grove, Mo., became president of the American Medical Association in June 2017. He has been a member of the AMA Board of Trustees (BOT) since June 2009. Dr. Barbe has a long history of service to organized medicine. He has been a member of the AMA, the Missouri State Medical Association (MSMA) and the American Academy of Family Physicians for 30 years. He has served on the MSMA board continuously for more than 25 years, serving as chair in 2003 and president in 2005. He was a delegate from Missouri to the AMA from 1997 to 2009 and is past chair of the delegation. Prior to his election to the AMA-BOT, Dr. Barbe was elected to two terms on the AMA Council on Medical Service, serving as its chair from June 2008 to June 2009. As a member of the council, Dr. Barbe participated in the development of much of the AMA policy related to coverage of the uninsured, health care system reform, Medicare reform and health insurance market reform. Dr. Barbe has served on numerous AMA committees and task forces. He served as chair of the AMA-BOT from 2013–2014, as well as a member of its Executive Committee from 2011–2015. At the state level, Dr. Barbe has been a longtime member of MSMA’s legislative committee and a board member of the Missouri Medical Political Action Committee. Dr. Barbe received his bachelor’s degree with honors in microbiology and his medical doctorate from the University of Missouri–Columbia School of Medicine. He completed his residency in family medicine at the University of Kansas affiliated program (now Via Christi) in Wichita, Kan. He also received his Master of Health Administration from the University of Missouri–Columbia. Following residency, Dr. Barbe returned to his hometown of Mountain Grove in rural southern Missouri and established a solo practice in traditional family medicine, including obstetrics, endoscopy and minor surgery. Over time, Dr. Barbe expanded his independent practice to two sites and several physicians. After 15 years in independent practice he merged his group with Mercy, Springfield, Mo., a 650-physician multi-specialty integrated health system. He now serves as vice president of regional operations for Mercy with responsibility for five hospitals, 75 clinics and more than 200 physicians and advanced practitioners. Mercy was named one of the top five large health systems in the nation in 2017 by Truven Health. Dr. Barbe continues to live and practice in his hometown of Mountain Grove. He and his wife, Debbie, BSN, RN, have two children and six grandchildren. Patrick Beaulieu is Sr. Business Development Manager for SHIELD at NVIDIA. The SHIELD business is NVIDIA’s consumer product division and includes the SHIELD tablet as well as SHIELD Android TV Streaming Media Player. Patrick helped start the SHIELD business at NVIDIA 5 years ago and he currently manages relationships with strategic partners in the Smart Home and Entertainment markets for SHIELD. Prior to that Patrick was involved with the enabling the CUDA, PureVideo and 3DVision Stereo technologies for the GeForce platform at NVIDIA. Prior to Joining NVIDIA in 2005, Patrick was working as Product Marketing Manager for video editing products at Pinnacle Systems and Matrox Electronics. Patrick also had his own business in the 1990’s, a computer shop specialized in Silicon Graphics and Commodore Amiga imaging systems. 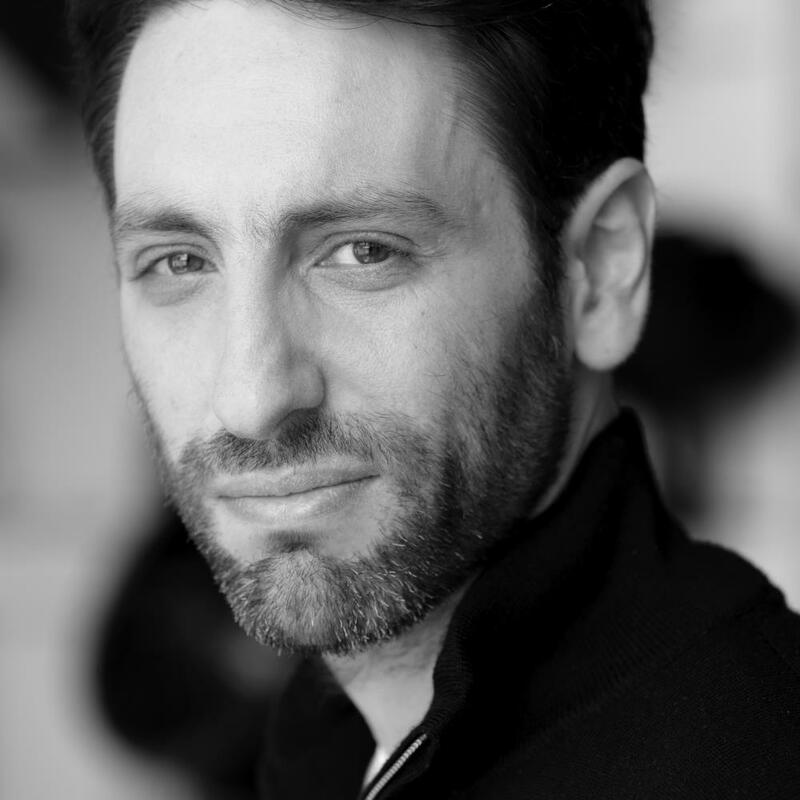 Royi Benyossef is the ecosystem relations manager at Samsung NEXT TLV; an early stage investment and innovation arm that focuses on software and services. Royi is also an Android Google expert since 2013 with a vast experience as an Android evangelist on stages that included Google I/O, AppsWorld, DroidCon, CodeMotion, BABBQ and more. Prior to joining Samsung Royi was the Android group leader at Vidmind where he managed a multinational group of engineers in designing and building Android clients for Vidmind's OTT platform as well as proprietary Android based Smart TVs and STBs with Hisense. Longtime internet and digital media entrepreneur, Gilles BianRosa, is SVP and Chief Product Officer for Samsung’s Visual Display Content & Services group. He oversees the product portfolio for Samsung Smart TVs as well as innovations for the connected home. Prior to Samsung, BianRosa was at TiVo (formerly known as Rovi), which acquired his start-up, Fan TV, in 2014. Fan TV was widely recognized as the first and leading entertainment discovery app for the connected world. Fan TV received a CES Best of Show award, and has been praised by WSJ, NYT, CNBC, and many other media outlets. Before Fan TV, Gilles was the CEO of Vuze (formerly known as Azureus). Narendra Bidari is a Software Engineer with Samsung Health, Ask an Expert Feature. He has completed his Masters of Computer Science from University of Texas at Dallas. He is a pragmatic engineer who tries to build scalable solutions. He has primarily worked on Backend Server side and Big Data Systems. Rob is a Principal Architect and mathematician at Akamai Technologies, leading distributed data platform architecture and the Akamai Center of Excellence in Machine Learning. He is the inventor of Big Data Stream Processing, launching the first system in 2006 as the founder and CTO of Red Lambda. He has an extensive background in machine learning, with a particular focus on real-time, online methods for forecasting and anomaly detection at extreme scale. Chantal Botana serves as Head of Global Cognitive Products & Emerging Platforms at The Weather Company, an IBM Business (Weather). She leads the team responsible for driving AI efforts, growing the consumer value of IBM Watson within Weather’s products. Most recently at Weather, she served as VP of Product for Emerging Platforms & Global Partnerships, working with partners such as Samsung, Facebook and Google on up-and-coming initiatives within the Internet of Things space and embedded and wearable computing. Prior to joining The Weather Channel as Senior Director of Lifestyle Products in 2012, she served as Director of Consumer Product Management at TheLadders job search service. Botana also worked as Senior Director of Product Management at Interactive One, a digital publishing company with a portfolio of websites focused on African-American and Hispanic audiences, and for more than five years at AOL as Director of Creative Services and Executive Producer of an internal agency that augmented fortune 100 marketing sales efforts. She has also worked in video and digital production at Hat Rack Productions, and as a freelance Digital Strategist and Producer for Video and Web, including projects for Atmosphere BBDO, and more. She started her digital career as an e-Commerce Product Manager at starMedia, a division of Orange S.A. and a leading Latin Internet brand. Botana is active in design thinking, agile and lean startup communities, Technology Association of Georgia (TAG), and Women in Technology (WiT). She is certified as a scrum product owner (CSPO) and in pragmatic product management (PMC). Botana earned her bachelor’s degree in journalism at New York University, and international baccalaureate certificates in French and Art from the Washington International School. She is a member of Kappa Tau Alpha, the national college honor society for excellence in journalism and mass communication. Staff Application (Embedded Software) Engineer. Working with Samsung for 5 years. Yadwinder started his tenure 5 year back with the Samsung S-LSI. Currently he is part of the Application and Customer engineer team at Samsung ARTIK developing and supporting cutting edge IoT applications. Rich is the founding editor of CNET's Appliance and Smart Home reviews section based in Louisville, KY, which includes the CNET Smart Home and the CNET Smart Apartment. Phil is a Staff Software Engineer in the Android Audio group. He works on MIDI and the new AAudio API. Phil has a background in game audio systems, DSP and synthesis. Douglas is passionate about fostering an open, secure ecosystem and expanding ease of use through his work at SmartThings. He has years of hands-on engineering experience creating connected devices and platforms in the industrial, medical, commercial, and consumer space. Additionally he has contributed to standard bodies that lay the groundwork for currently used, and future Internet of Things technologies. Patrick Chang is an early stage investor at Samsung NEXT Ventures. He primarily focuses on seed to series B enterprise / B2B investing and specializes in security, AI, enterprise/industrial IOT, blockchain 2.0, distributed computing and more. Prior to Samsung, Patrick was at Foundation Capital with a focus on SaaS and enterprise software. He has over 12 years of experience investing in enterprise software including IT security, infrastructure, developer tools, business intelligence/analytics and more ranging in various stages from seed to growth equity at Bain Capital Ventures, Investor Growth Capital, New York Angels and Updata. Patrick is also a recovering tech investment banker at Bank of America Merrill Lynch, and Lehman Brothers, where he helped public and venture backed technology companies raise capital and execute M&A transactions. Javed Chaudry has held executive positions for over 20 years in the financial, mobile and software industries driving product management, strategy, partnerships and innovation. Javed currently leads Samsung Pay Solutions Management team to facilitate Product Innovation and partnership engagements for Samsung. He previously led Product Management team in Samsung Pay R&D organization. Prior to joining Samsung, Javed led many successful global mobile payment products during his tenure at Citi, Vivotech and Motorola. Javed also worked at Nokia and Microsoft in various product, strategy and business development capacities. At Citi, Javed was responsible for driving Citi’s global emerging payments platform, roadmap, innovation and strategic partnerships to introduce mobile NFC payments and digital commerce capabilities for Citi’s customers globally. At Motorola, Javed drove Motorola’s mobile device enablement, innovation and partnerships for NFC payments. Javed is one of the most sought-after subject matter experts in mobile payments industry with strong working knowledge of NFC and HCE tokenized payment solutions. To ensure successful execution, Javed has developed strong strategic relationships with payment networks (Visa, MasterCard, Amex, etc. ), mobile payments technology providers (NXP, Oberthur, Gemalto, etc. ), and various innovative mobile payments startups. Javed has also been actively engaged at various industry consortiums including NFC Forum, Telecom Council, FIDO Alliance, SmartCard Alliance and NACHA/Federal Reserve Security Working Group. He has also been elected member of the steering committee for Mobile and NFC Council at Smart Card Alliance. Javed holds MBA in Information Systems and a BS in Electrical Engineering. Javed lives with his family in San Francisco bay area. Adam Cheyer is co-Founder and VP Engineering at Viv Labs, a startup (recently acquired by Samsung) dedicated to creating an intelligent interface to everything. Previously, Adam was co-founder and VP Engineering at Siri, Inc, and after Siri was acquired by Apple, a Director of Engineering in the iOS group. Adam also was a co-founder of Sentient.ai (massively scalable machine learning) and a founding member of Change.org (world's largest petition platform). Adam is the author of more than 60 publications and 25 patents. Shane develops Tizen .NET TV framework with .NET framework and Tizen platform in Samsung. He has knowledge and experience from academy and work about graphics, UI and application framework. His major concern is to make new TV framework to build TV ecosystem. After studying language and literature of hispanic in university, she joined Samsung Electronics in 2015 as a software engineer. Now she works in Graphics team of mobile division as a Game Ecosystem Manager and manages operation of GameDev program and partner connection. Sukwon (Danny) Choi is a Principal Engineer of digital appliance division at Samsung Electronics. He leads the connected appliance team and is actively working towards a division-wide goal of reaching “100% connectivity by 2020”. After he joined Samsung in 2012, he contributed to protocol standardization for smart appliance such as Family Hub. Recently, he developed OCF (Open Connectivity Foundation) compatible appliances and the Family Hub Samsung Connect (FHSC) app. Now, he is interested in kitchen centric IoT ecosystems for appliances. Before joining Samsung, he was a researcher at KETI (Korea Electronics Technology Institute) and received his Ph.D degree in networked embedded system from Yonsei University. Ricky Y. Choi, MD, MPH is the Global Medical Director of Mobile Communications Business at Samsung Electronics. In this role he drives strategy, business development and overall leadership in health and medical domains. His expertise includes mobile health, health policy, telehealth, electronic health records, and social media. Previous to this role he practiced medicine for nearly ten years in a number of clinical positions including Department Head of Pediatrics at Asian Health Services Community Health Center in Oakland, CA and at Kaiser Permanente in San Francisco. He is a past clinical instructor at the University of California, San Francisco. He is a past blogger for SFGate and his writing can been seen in the Huffington Post. Dr. Choi has degrees from The University of Chicago, Medical University of South Carolina, Harvard University and completed his internship and pediatric residency training at the University of California, San Francisco. Ethan Choi is General Manager at Hound13 Inc. As a head of service operations division, he is dealing with all kinds of technical issues, leading developement. For the past 10 years, he had various experiences with operating and developing in global online/mobile game company in Korea, Southeast Asia and China. He is specialized with cloud infrastructure and architecture as well. Eui-Suk is a passionate technologist dedicated to create the best user experiences from advanced technologies. As the EVP and Head of Service Intelligence, Eui-Suk is responsible for the Artificial Intelligence and Machine Learning research and development for Bixby. In his 15 years at Samsung, Eui-Suk has led innovation in the domains of Virtual Reality & Augmented Reality, as well as provide leadership through Samsung’s successful smartphone OS evolution from Palm OS, Windows Phone, to Android. Prior to joining Samsung, Eui-Suk held leadership roles at Ericsson and the W3C. He has a M.Sc. in Computer Sciences from the KTH Royal Institute of Technology. Eric Cohen has over 15 years working in software. Currently, Eric is a Software Engineering Manager at Dexcom building mobile applications and wearable technologies to enable better self management of diabetes. Since joining Dexcom in 2012, Eric has been instrumental in Dexcom’s success and the development of Dexcom Share and Dexcom G5 Mobile system. Amanda is a technology journalist and popular emcee/host and has worked with multiple cloud computing and IoT brands. Highlights include; This Week in Cloud Computing - Amanda produced, wrote and hosted this top iTunes podcast with InfoWorld's Dave Linthicum, Wearable World - Amanda served as an advisor for the show, Brocade - Amanda served as the booth presenter for Supercomputing in Barcelona and VMWorld in Denver, Accelerating the Cycle of Innovation presentation for Brocade at VMWorld 2014, The Infinite Game presentation for Brocade at Supercomputing Barcelona 2013, IBM - Amanda worked internally at the company leading worldwide women's initiatives for IBM's cloud and IoT division. Jeff Cooper is a Senior Business Development Manager at Samsung. He has worked in the mobile space for nearly 20 years and is focused on fitness and health and the broader B2B space, especially in the area of wearables, sensors and has a deep understanding of IoT. He looks for ways that apps can span across platforms and devices where it makes sense, how the differences between them can be used to tailor an app's functionality and usability depending on the form factor and how they interact with backend systems. 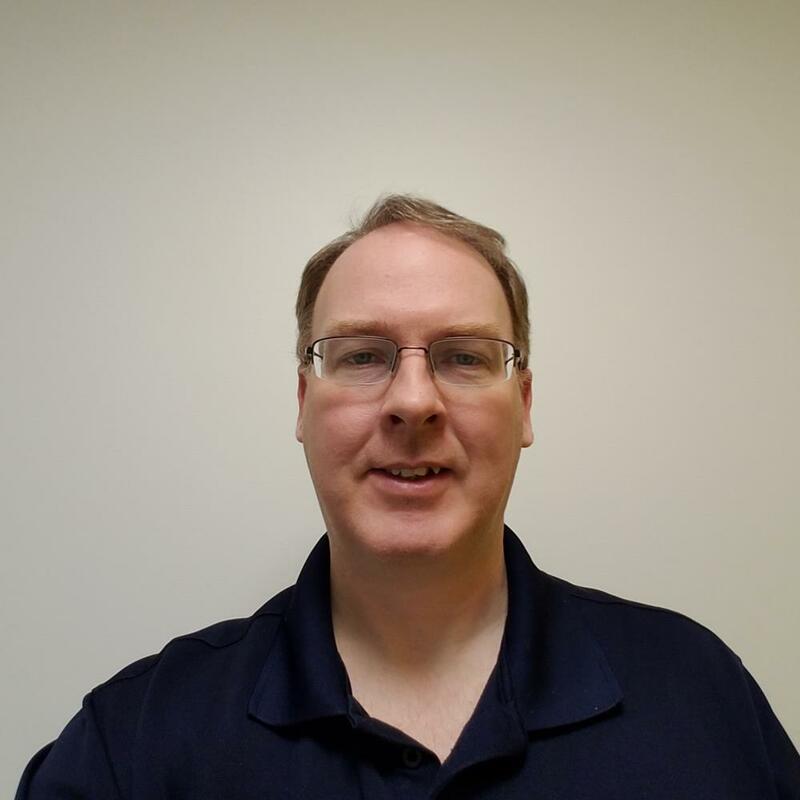 Besides business development, Jeff started his professional life at Texas Instruments designing hardware and later moved into software development. Today he fuses his technical understanding with the business opportunities to explore ways to come up with the best experience for an app. Development manager for the Made for Samsung team at The Weather Company. Emmy award winning Baobab Studios is the leading VR animation studio, whose mission is to inspire you to dream by bringing out your sense of wonder. Started by industry leaders Maureen Fan (Zynga VP of Games, Farmville Franchise), Eric Darnell (Director of all 4 Madagascar films), and Larry Cutler (Dreamworks' Head of Character Tech, Pixar TD Toy Story 2, Monsters Inc, Oscar tech judge), the company's Emmy-award winning VR animation, INVASION!, starring Ethan Hawke, launched to substantial critical acclaim and has become the top downloaded VR app. In a first, Hollywood is taking IP from VR to become a feature film: Roth Kirschenbaum Films (Maleficent, Alice in Wonderland, Snow White and the Huntsman) has signed on to adapt INVASION! into a big screen feature film "flattie". Right out of the gate, Baobab Studios garnered laurels from film festivals globally including Sundance Film Festival, Toronto International Film Festival and Cannes. INVASION! is currently a top ranking download on major VR platforms including Oculus, VIVE, PSVR, Samsung, Within, Hulu and others. Baobab’s 2nd VR animation, ASTEROIDS! starring Elizabeth Banks was an official 2017 Sundance Film Festival and Cannes Film Festival selection and won Best VR Experience at the Unity Vision Conference. Their latest Rainbow Crow, starring John Legend, Diego Luna, and Constance Wu premiered at Tribeca Film Festival and Cannes this year. Baobab has raised $31M to date making them one of the largest in independent VR studios today. Baobab’s vision is to create experiences with the empathy of film, the agency of games, and ultimately the motivation of real life. Eric Darnell is Chief Creative Officer and Co-Founder of Baobab Studios. His career spans 25 years as a computer animation director, screenwriter, story artist, film director, and executive producer. He was the director and screenwriter on all four films in the “Madagascar” franchise, which together have grossed more than $2.5 billion at the box-office. He was also executive producer on “The Penguins of Madagascar.” Previously, Eric directed DreamWorks Animation's very first animated feature film, “Antz,” which features the voices of Woody Allen, Gene Hackman, Christopher Walken, and Sharon Stone. Eric earned a degree in journalism from the University of Colorado and a master’s degree in experimental animation from The California Institute of the Arts. Nick Dawson is responsible for the Samsung Knox portfolio strategy and business development within the enterprise business team. Knox combines unparalleled device security with advanced feature management solutions, allowing Samsung devices to be deployed in any situation securely and with no compromises. Nick Dawson joined Samsung Electronics HQ in Korea in 2014. Nick has 12 years’ experience in the enterprise mobility industry, and over 20 years’ experience in enterprise technology solutions. Nick is a frequent speaker at Samsung and industry events, and works closely with Samsung global sales teams, partners, and customers to ensure that Samsung best serves their needs. Nola is a software architect leading the development of open source virtual graphics software for Samsung. As a researcher at Intel, Nola has driven efforts in global illumination, cloth simulation and virtual fashion. She has also developed major components for products like Microsoft PowerPoint, Adobe Photoshop and SGI Performer. Alban is a 32-year-old French entrepreneur. He is the co-founder and CEO of Sketchfab - the world's largest platform to publish and explore 3D content on web, mobile, VR and AR. Prior to Sketchfab, he launched a web agency, and worked for 4 years in the 2D world of photojournalists. He graduated from ESSEC Business School (Paris, France). Lisa Q. Fetterman is the founder and CEO of Nomiku, the first home sous vide immersion circulator and bestselling author of "Sous Vide at Home". Lisa has been featured in Wired, Make, and Forbes, and was named on Inc, Forbes, and Zagat Survey’s 30 Under 30 lists for her pioneering work in the food space. She has worked at some of the top restaurants in the country including Babbo and Jean-Georges in New York and Saison in San Francisco. Jared is a futurist, creative technologist and a partner at argodesign. He has been designing with technology for over a decade, focusing on innovative or unique interaction models, especially those involving interesting inputs like touch, multi-touch, voice or gesture. His philosophy is “think by making” and has designed products for clients like HP, Microsoft, AT&T, LG, SanDisk, Motorola and more. For many years, Jared directed the SXSW Interactive opening party – also known as the frog party – which served as an outlet for both interactive installations and a collective social experiment. He currently directs the Think by Making party for MakerFaire Austin every May for the same purpose. He is also the co-director of the Austin Public Skatepark Action Committee and an evangelist for the cable car based mass transport vision known as The Wire and his passion for sound visualization led to him being the first person to bring live fire onto the TED stage in his talk "Eyes Can Hear." Bob's found that over 30 years in software development hasn't dampened his love of writing code. He's focused on making SmartThings the world's best platform for connecting and enabling the interoperability of IoT devices. Prior to joining SmartThings Bob worked developing software in a variety of different industries. Most recently he was Vice President of Software Engineering at ReachLocal, developing digital presence software for small businesses. Previous positions have included embedded software, defense/aerospace systems, as well as software process consulting and tools development at Rational Software Corporation. Tom Flynn is a director of software at Samsung Research America (SRA). In this role he is responsible for multiple Virtual Reality (VR) projects including the Gear VR Framework (GearVRf). Prior to joining Samsung, Tom was involved in many 3D graphics projects at companies like Panasonic, Sony Playstation (RSX debugger), Silicon Graphics (Performer, Inventor, OpenGL) and the Boeing Company at Kennedy Space Center. 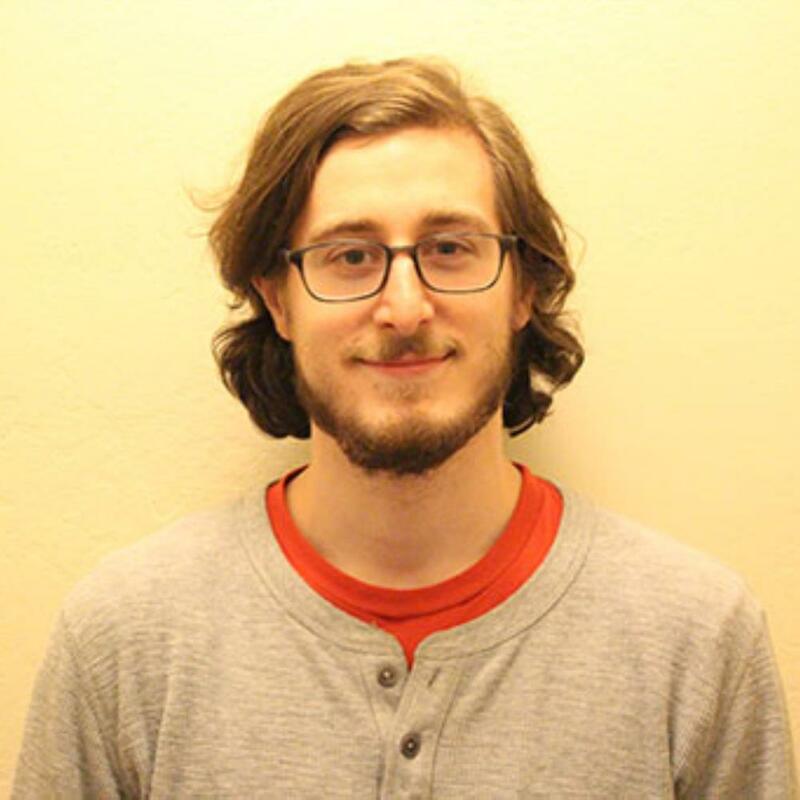 Pierre is a young programmer with a passion for solving problems and writing clean, effective code. His interests include computer graphics, data structures and communication protocols. He was responsible for the architecture and the initial development of the SyncVr platform and is currently working on making it more awesome! Laszlo is leading the Web Platform team for Samsung in the USA. He is a veteran moving the web forward with over 15 years of experience. Lately he has been focusing on VR/AR, payment and privacy on the web. Kavitha Gopalan is a Sr. Software Engineer at Samsung. She has Master Degree in Computer Science and more than 10 years of experience in Mobile App development. At Samsung, for the past 2 years she has been focusing on Tizen Wearable SDK and Samsung Android SDKs. She has been working closely with Strategic Partners in developing apps for Tizen Wearable devices like Gear S2, Gear S3 etc. She has presented many webinars and enjoys working with partners and evangelizing Samsung SDKs. Keith is a cofounder and CTO of AlcaCruz. We develop 6K mono/4K stereoscopic live/VOD VR streaming solution with 75% data reduction, or 4x of higher quality at the same data rate. The solution is powered by professional GPU to maximize performance and minimize cost by 20x, making a major breakthrough in VR video industry. Mark Hammond is co-founder and CEO at Bonsai. Mark has a deep passion for understanding how the mind works and has been thinking about AI throughout his career. Upon graduating from Caltech with a degree in computation and neural systems, Mark went on to positions at Microsoft and numerous startups and academia, including turns at Numenta and the Yale neuroscience department. Kevin is the Developer Tools Lead at Qualcomm Technologies, Inc. where he is responsible for leading the engineering efforts for Qualcomm Snapdragon Developer Tools for Android. 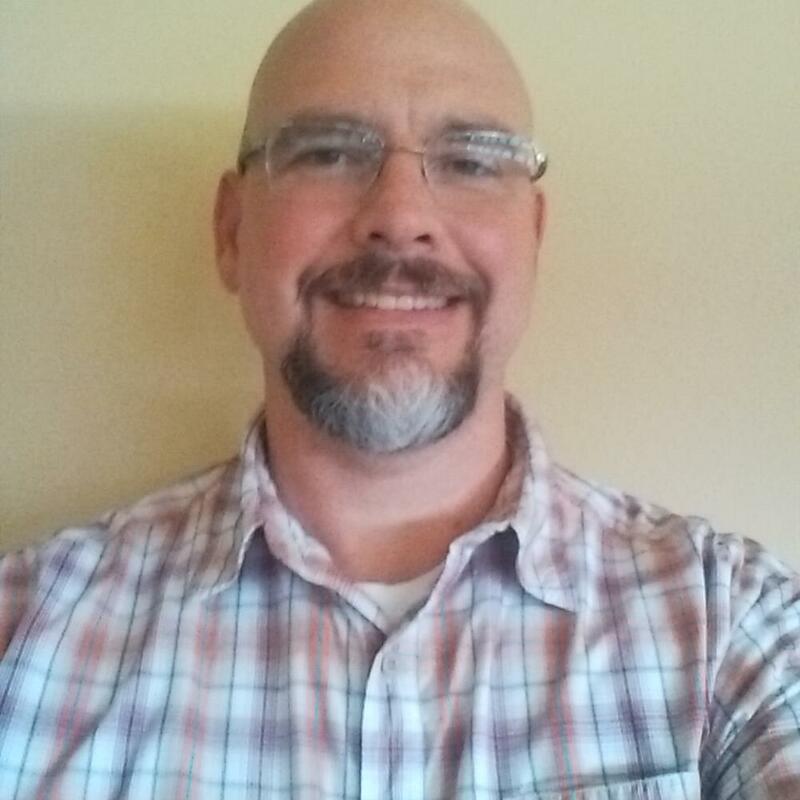 Kevin has 15 years of diverse experience in engineering and product management roles leading software, hardware, and content creation teams in tools, simulation and gaming, Web technologies, and mobile technologies with Android. Prior to joining Qualcomm, he spent 10 years at Raydon Corporation in multiple roles, including leading the company’s software engineering efforts with new tools and delivery methods for simulation training systems. Kevin is also co-founder of GameDev.net, the popular online resource for game development, and he co-authored "OpenGL Game Programming" and "Beginning OpenGL Game Programming. Damon works in many areas of the 3D web industry and has been active in virtual environments and the 3D web for over 15 years. His passion for doing cool things with real world data has him actively involved with the 3D web’s convergence with other technologies including Internet of Things, Geographic Information Systems, Computer Aided Design & Manufacturing, and immersive technologies including VR and AR. He is currently at Samsung Research America on the Samsung Internet team making the web browsing experience awesome and enhanced with WebVR/AR. As a global advocate for web3D and immersive technologies, he is a founding team member of the Augmented Reality Developer Camps, VR Hackathon, & founder of the AEC Hackathon, where he is actively working to help grow the use of innovative tech. Korey K. Hood, PhD works closely with people with diabetes in clinical, research, and advocacy settings. Dr. Hood is a clinical psychologist and researcher at Stanford University, where he is a Professor of Pediatrics and Psychiatry & Behavioral Sciences. At Stanford, he directs NIH- and foundation-funded research projects and provides clinical care aimed at promoting health and quality of life outcomes. Much of this work focuses on building positive coping and problem-solving skills to prevent diabetes distress and depression, and increasing the uptake of diabetes technologies and social media. He is the past chair of the Behavioral Medicine and Psychology Interest Group of the American Diabetes Association (ADA), on ADA’s Research Policy Committee, and was an advocate on Capitol Hill for ADA’s Call to Congress 2017. In addition to publishing over 95 scientific articles, Dr. Hood is the author of Type 1 Teens: A Guide to Managing Your Life with Diabetes and a co-author of ADA’s Teens With Diabetes: A Clinician’s Guide. Ryan is the Chief Content Officer of Felix & Paul Studios, where he oversees content development, strategy, partnerships, distribution and business affairs. He began his career at CAA and Paramount Pictures before joining Fox/New Regency as a senior studio executive, where he oversaw the production of Academy Award Best Picture winner, “12 Years a Slave,” among other films. Ryan recently won a Primetime Emmy Award for Best Original Interactive Program, for Felix & Paul Studios' VR Experience, "The People's House: With Barack & Michelle Obama." Arianna is the founder and CEO of Thrive Global, the founder of The Huffington Post, and the author of 15 books, including, most recently, Thrive and The Sleep Revolution. In May 2005, she launched The Huffington Post, a news and blog site that quickly became one of the most widely-read, linked to, and frequently-cited media brands on the Internet, and in 2012 won a Pulitzer Prize for national reporting. In August 2016, she launched Thrive Global, a corporate and consumer well-being and productivity platform with the mission of changing the way we work and live by ending the collective delusion that burnout is the price we must pay for success. Thrive Global provides trainings, seminars, e-courses, coaching and ongoing support based on the latest scientific findings to improve people’s health and increase productivity for both companies and individuals around the world. She has been named to Time Magazine’s list of the world’s 100 most influential people and the Forbes Most Powerful Women list. Originally from Greece, she moved to England when she was 16 and graduated from Cambridge University with an M.A. in economics. At 21, she became president of the famed debating society, the Cambridge Union. She serves on numerous boards, including Uber and The Center for Public Integrity. Her last two books, Thrive: The Third Metric to Redefining Success and Creating a Life of Well-Being, Wisdom, and Wonder and The Sleep Revolution: Transforming Your Life, One Night At A Time, on the science, history and mystery of sleep, both became instant international bestsellers. Brian Hull is a creative leader with over 15 years experience in driving award-winning solutions for some of the world’s largest advertising agencies, marketers and brands. With executive creative posts at New York’s Grey, Organic, and G2, Brian has amassed a variety of B2B and B2C category experience across multiple marketing channels. Be it Times Square signage, to in-store, in-dash, on-pack, on-line, iOT, mobile and more, Brian is a strong believer in creating unified marketing experiences that focus on being relevant, engaging, intuitive and beautiful. Newly acquired by IBM, Brian leads the The Weather Company's Global Creative Lab teams utilizing Watson’s cognitive capabilities along with the ultimate trifecta of data–weather, location and time–to concept, create and deliver advertising products, services and experiences across all Weather Company properties and more. Jongoh Hur is a Software Program Manager for Knox in Smart TV Security at Samsung Electronics. He is a recognized information security professional and is an honoree of the Asia-Pacific Information Security Leadership Achievements (ISLA) Program. Jongoh was previously the Project Leader for Samsung's Smart TV Security Solution and a Senior Researcher at AhnLab. He received an MBA from the Korea Advanced Institute of Science and Technology. Shahid Hussain is a Product Manager on the Chrome OS team at Google. He is currently focused on improving the app experience on Chromebooks by helping developers and partners improve their Android applications. Shahid joined Google in 2013, and has worked on Google’s first hardware portfolio launch in 2016 and a number of key campaigns driving Chromebook growth. Prior to joining Google, Shahid has held a number of roles across VC, product strategy and product management. Anand is a respected global digital health leader—most known for his insights on and experience with technology, strategy and regulatory policy. Anand has been instrumental in WellDoc’s success and the development of BlueStar®, the first FDA-cleared mobile prescription therapy for adults with type 2 diabetes. Since joining WellDoc in 2008, he has held core leadership positions that included Chief Data Science Officer, President and Chief Operations Officer. In 2013, Anand was named “Maryland Healthcare Innovator of the Year” in the field of mobile health. Prior to joining WellDoc, Anand was already an established thought leader in the field. He had served as the Director of PRTM’s wireless practice, where helped companies take advantage of disruptive technologies, business models and process models offered by and enabled by advanced wireless communications. Anand was the founder and immediate-past president of the In-Building Wireless Alliance, and teaches advanced wireless courses to senior officers in the US Department of Defense at the Institute for Defense and Business. Prior to joining PRTM, Anand was a member of the scientific staff at Bell Northern Research and Nortel Networks. He holds an MS and a PhD in electrical and computer engineering, and an MBA from Carnegie Mellon University. He also holds a BS in electrical and computer engineering from Carleton University. Daemyung Jang is a graphics engineer at Samsung electronics, and works on extending the mobile graphics environment. Today he works for Galaxy gameDev which supports global game studios on providing a better game experience to Samsung Galaxy users. His main role is making games with Vulkan which has many advantages in gaming. Vulkan games include HIT, Vainglory, Lineage2 Revolution, AxE, Archeage, supported by Galaxy gamedev. Soobaek Jang is a Vice President of Cloud Platform at Samsung Electronics. He leads the development team for building services and platforms. Soobaek is also a head of Global Services & System Engineering team, responsible for all services in Samsung Mobile division. He brings 18 years of experiences from IBM where he has built various services from Cloud architecture, services and platforms. John Jefferies has been marketing of hardware, software and mobile security products for over twenty years. He joined us from Cayuga Networks where he served as Chief Operating Officer and VP Product Management. John. Jefferies served as the GM and Chief Marketing Officer of Abaca Technology which filtered email for AT&T, iCloud and Yahoo Mail. He served as Vice President Marketing of IronKey. He joined IronKey from RedCannon Security where he worked as Senior Vice President of Marketing. Prior to this, he held senior positions with, among others, Hewlett Packard, Tandem, Teros (Citrix) and Dascom (IBM). Mr. Jefferies obtained his MBA from the Ivy School of Business in London, Ontario and his BA in Business from Michigan State University. He is an avid surfer and teaches high speed driving. Bryan Johnson is an American entrepreneur and venture capitalist. He is founder and CEO of Kernel, a human intelligence company building advanced neural interfaces to treat disease and dysfunction. He is also the founder and CEO of OS Fund, a $100 million fund that invests in quantum-leap developments that promise to rewrite the operating systems of life. Prior to founding Kernel, he served as founder, chairman and CEO of Braintree, an online payment system that was acquired by eBay for $800 million in 2013. Since then, Bryan has dedicated his life to improving mental vibrancy in an effort to increase quality of life as expectancy increases. Dr. Sindhu Joseph is the CEO & Co-founder of CogniCor (www.cognicor.com), a Cognitive AI driven chatbot platform used by leading global brands. An entrepreneur with PhD in Artificial Intelligence and an inventor of 6 US patents, she launched CogniCor out of her research and personal experiences. CogniCor's patent pending AI based platform enables enterprises to engage with customers and drive customer journeys in presales, sales and post sales based on conversational interfaces. Along with Co-founder Rosh Cherian, she established a global team of 40+ AI engineers with deep expertise in enterprise chatbot deployments. She was also instrumental in leading CogniCor to the most innovative web startup from European commission and selection by WIRED magazine, as one of the hottest startups from Europe. Educated in India and Europe, and winner of most outstanding entrepreneurs from the UK, and Google Anita Borg award. A mother of three, she hopes to be a role model for women in technology. Dr. Luc JULIA is leading the company’s vision and strategy for the Internet of Things through the development of a cloud designed to connect any devices and applications. Previously, Luc directed Siri at Apple and was Chief Technologist at Hewlett-Packard. Recognized as one of the top 100 most influential French developers in the digital world, Luc has cofounded a number of start-ups, including ORB Networks, where he invented “place shifting”. He began his career at SRI International, where he founded the Computer Human Interaction Center and was involved in development of the first smart refrigerator and car, as well as the creation of Nuance Communications, now the world leader in speech recognition. Luc holds degrees in Mathematics and Computer Science from the University Pierre et Marie Curie in Paris and earned a Ph.D. in Computer Science at the Ecole Nationale Supérieure des Télécommunications de Paris. Jaeyeon Jung is a vice president for service R&D at Mobile Communications Business in Samsung Electronics. Prior to joining Samsung, she was a principal security architect at Microsoft Research (2011-2016) and a research scientist at Intel Labs Seattle (2007-2011) after a brief stint as a software architect at Mazu networks (2006-2007). She obtained her PhD from MIT in 2006. Currently, she leads various cloud service engineering efforts in Samsung including the IoT backend service. Shubhra is a longstanding member of the mobile developer community. He started his mobile journey with StrongLoop (acquired by IBM), where he was their chief evangelist and VP of product and marketing. At StrongLoop, he lead StrongLoop's sponsorship of ExpressJS, introduced LoopBack.js and helped it to grow become one of the most widely used Node frameworks. Currently, Shubhra is VP of product marketing at Joyent, where he focuses on bringing together the Node.js and Docker communities with efforts like the Node.js and Docker Innovator Program. Kourosh Karimkhany serves as the head of Weather Underground, a subsidiary of The Weather Company, an IBM Business. In his role, Kourosh oversees product development, expanding Weather Underground's lead in using IoT technology to provide the most hyperlocal weather information. With an exceptional track record of generating growth and revenue at some of the largest digital companies in the world, Kourosh has extensive knowledge of the tech media industry, audience growth, and product development. Kourosh started his technology career as a product manager at Yahoo, where he oversaw Yahoo News & Weather. Later in his career, he managed mergers and acquisitions for Conde Nast, where he acquired Reddit, Wired.com and Ars Technica. In 2009, he co-founded Food Republic, a food media company,which was sold in 2013. Kourosh holds a master’s degree in journalism from Columbia University and a bachelor’s degree in economics from UC Irvine. He is currently based in San Francisco, California. 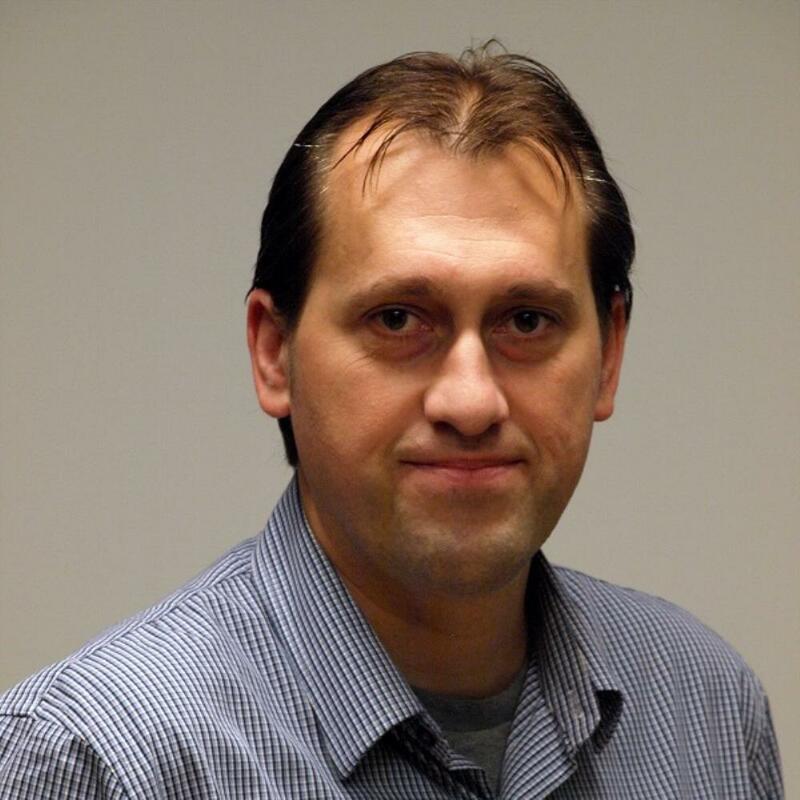 Dennis Khvostionov is Vice President of Software Platforms and Architecture at Acuity Brands. Dennis joined Acuity in 2016 to lead the architectual transformation of the technology that powers the Atrius IoT Platform which distributes software services throughout the IoT infrastructure, from the edge to the cloud. Most recently Dennis was appointed to lead Acuity's software development organization which supports the solution innovation strategy of the Atrius product portfolio. Prior to joining Acuity through the acquisition of DGLogik where Dennis was the co-founder and CTO. Dennis was the visionary and inventor of DGLux, a “drag-and-drop” IoT application development and visualization platform utilized to design custom real-time, data applications and dashboards, and the Distributed Services Architecture (http://iot-dsa.org), an open-source IoT platform. Furthermore, Dennis filled Senior Strategic Management roles in User-Experience and Visualization for Cisco Systems. With a background in neuroscience, computer science, and psychology, Amy Jo Kim is part game designer, part web community architect. Her design credits include Rock Band, The Sims, Ultima Online, eBay, family.com, nytimes.com, indiegogo.com. and numerous startups. She’s well known for her 2000 book, Community Building on the Web, and her work applying game design to Web and mobile services. Kim holds a PhD in Behavioral Neuroscience from the University of Washington and is an adjunct Game Design professor at the USC School of Cinematic Arts. Brendon Kim is Vice President at Samsung Electronics and is Managing Director and Head of Samsung NEXT Ventures. The Samsung NEXT Ventures team invests in compelling, early-stage, software and services startups around the world, bringing the power of the Samsung platform to accelerate their growth. Brendon has been investing in early-stage startup companies for over 20 years. Prior to joining Samsung, Brendon was a co-founding partner of Altos Ventures where he was a lead investor and board member in numerous early-stage software and services companies. Before co-founding Altos Ventures, he was a strategy and management consultant in the media, consumer and technology industries. Brendon received his MBA from the Graduate School of Business at Stanford University and his BA from Princeton University. Yeojin Kim is a senior UX designer for virtual reality apps at Samsung Electronics. She and her team have been working on through various trials and errors over the past two years to help VR apps of Samsung be loved by users. Yeojin majored in computer science at the university and joined Samsung Electronics in 2005 as a mobile platform developer, but she soon changed her role to UX design. For the first eight years at Samsung, she was looking for novel scenarios or designed several concept UX for future devices and related services. After moving to Mobile Communications Business in 2013, she designed apps for more specific and targeted users such as kids, seniors, and drivers rather than general mobile apps. Based on these experience, she loves to either apply the general design methodology to a particular situation, or derive a generalized design principle from fragmented, and particular cases. After studying GPU hardware architecture and memory sub-system design in university, he joined Samsung Electronics and has worked for 15 years as both hardware and software engineer. With experiences of designing advanced video and image codec hardwares for many SoC projects of research center in early days, he moved to mobile division and has involved in all strategic Galaxy products since 2012. Currently he's leading multiple tech areas like GPU driver, graphics performance, Android graphics framework, GameDev tech support and Khronos standardization. Dr. Tae-Yong Kim has over 20 years of professional experiences in computer graphics fields, and has had various engineering and consulting roles. He is currently the head of Graphics R&D group at Samsung Electronics, overseeing related areas such as VR, gaming, and graphics system software. Prior to Samsung, he worked for NVIDIA in the field of high performance computing, GPU-based parallel programming, and game technologies. He also worked for production of over 80 Hollywood films, writing various VFX software tools for the Rhythm and Hues Studios. He contributed to 2 Oscar awarded movies (“Life of Pi”, “Golden Compass”), 1 Oscar nominated movie (“Chronicles of Narnia”). At 2010, he was appointed to become a technical committee member for the Academy’s SciTech award. He received his Ph.D in Computer Science from University of Southern California, and holds a B.S in Computer Engineering from Seoul National University. Principal Engineer in Samsung Electronics’ mobile division. Ungsik Kim is the product owner of Gear 360 product. He is also involved in the 360 Round camera. Ungsik has been working on the Imaging product as a software and signal processing specialist since 2008. He received a Ph.D. degree at University of Florida-Gainesville in 2007. Sungsoo is a business development and product management professional at Samsung Electronics. Recently, he has led the effort to launch Samsung Pass, which is an ‘identity management-as- a-service’ using iris technology. In the past, he has launched several products at Samsung and also worked at multiple Fortune 500 technology companies. Dag Kittlaus was the founder and CEO of Viv Labs which was acquired by Samsung in 2016. Prior to that Dag was the founder and CEO of Siri which was acquired by Apple in 2010. Dag ran Siri and speech recognition for two years at Apple prior to starting his next company, Viv. Prior to that Dag was an Entrepreneur-in-Residence at Stanford Research Institute as well as a General Manager of the advanced Smartphone group at Motorola. Dag has been a technology visionary in the mobile and artificial intelligence space throughout his career and his innovations are currently in use by hundreds of millions of users. Minhyung is a Senior Mobile S/W Engineer at Samsung Electronics. He joined Samsung in 2005 and spent his career developing mobile devices. Currently, he leads the "Galaxy Upcylcing" project, which was selected last year as one of the Samsung C-Lab projects, an in-house creativity incubation program. "Galaxy Upcylcing" aims to save the environment by upcycling Samsung's various Galaxy devices into beautiful "IoT things". Minhyung and his team continually focuses on providing easier ways to upcycle your Samsung Galaxy devcies into creative yet useful products. Thomas Ko leads global strategy of Samsung Services, a portfolio of services that encompasses Intelligence, IoT, Pay, Health, Dex, Games, Music and etc. As Samsung declares to be a software & services company, Samsung Services is one of the fastest growing and most exciting divisions at Samsung Electronics. After successfully executing the creation and execution of Samsung Pay expansion to 16 countries in 2 years surpassing $10B processed transactions, Thomas has proven that his success in US can transfer well to Korea and support Samsung to lead the future technical leadership even in the Services industry. Before Samsung, Thomas had his own venture, NAMU Systems which has won ‘Best of Show’ by Finovate in 2015. Thomas also was the global head of mobile banking, leading Citi to become the best corporate mobile bank in the world processing over $1TN in 120+ countries, ultimately setting Citi to win the "Best Enterprise Mobile Solution of the world" award given by GSMA. He was educated in University of Virginia and Stanford. He is a Korean-American and fluent in Korean, English as well as Spanish. DongJin (DJ) Koh is President of the Mobile Communication Business at Samsung Electronics. Mr. Koh is responsible for driving every aspect of Samsung’s global mobile business forward, from smartphones and smart wearables to emerging mobile services. Before he was named President in December 2015, Mr. Koh served as the Executive Vice President and Head of the Mobile R&D Office within Samsung’s Mobile Communications Business. He played a critical role in the launch of a variety of mobile devices and services, including the Galaxy S8 and S8+, Galaxy S7/S7 edge, Galaxy S6/S6 edge, Galaxy Note5, Gear S2, Samsung Pay and Samsung Knox. Since joining the company in 1984, Mr. Koh has become widely respected for his collaborative style and teamwork-focused approach. Mr. Koh spent a decade in Human Resources, where he elevated company efforts to increase employee engagement and operational excellence throughout the organization. Thanks to his approachable style, Mr. Koh quickly became regarded as a leader whose work could span technologies and businesses to transform Samsung’s product offerings. As the Head of the Technology Strategy Team from 2007 to 2015, he created strategic alliances with partner companies to help bring innovative technologies to market. Under his leadership from 2006 to 2007, the North America Product Planning Group established a strong foothold in the North American market by developing innovative mobile devices for carriers. Mr. Koh was also responsible for bringing key technical innovations to modem and software technology when he was Head of the Samsung R&D Institute in the U.K. He graduated from Sungkyungkwan University with a Bachelor of Arts degree in Industrial Engineering in 1984 and earned a Master of Science degree in Technology Policy from University of Sussex in 1993. Kwanghyun is a software engineer for Samsung Smart TV and works with 28 big data engineers in the Visual Display Business division. His team is developing the Smart TV big data platform including BI system, quality data analytics, data collection & governance, social buzz analyzer, anomaly detection and etc. He has been part of multiple interesting projects, such as developing data broadcasting platform, Smart TV middleware & apps, automatic contents recognition (ACR) in DTV & Smart TV. He received a PhD in Computer Vision and Image processing in 2013. He is currently interested in smart data processing, pattern extraction from data & relation mining, and big data processing with AI technology. As Chief Business Officer of Tenor, Jason Krebs works closely with the world’s most beloved entertainment companies and most innovative brand marketers -- helping them understand the emerging opportunity to use GIFs to connect with consumers emotionally and activate them as advocates. Tenor is the world’s largest mobile GIF platform, processing more than 300 million daily searches and empowering people to better communicate visually in mobile messaging. 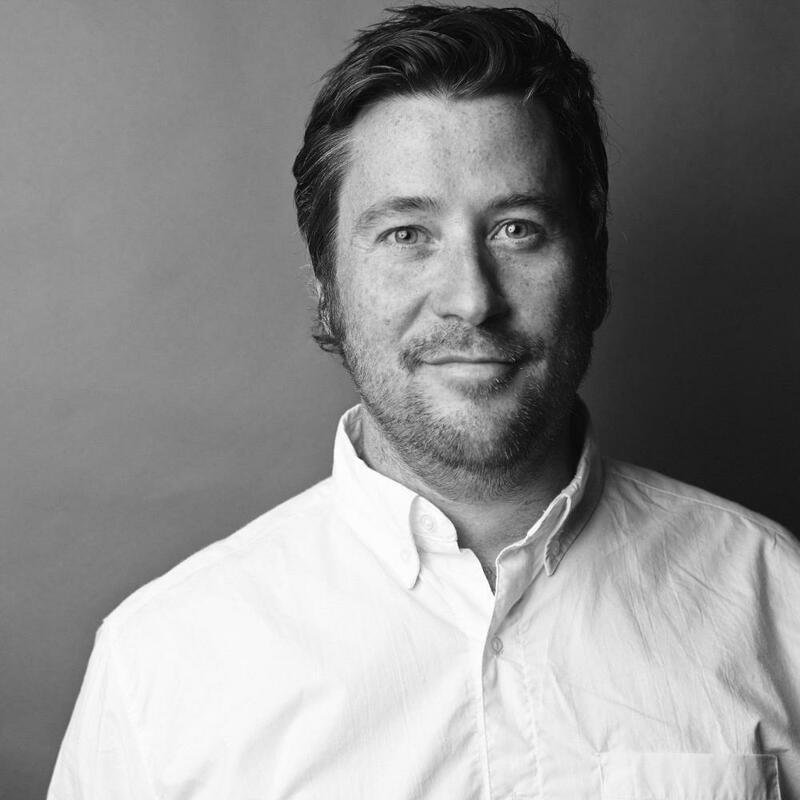 An industry veteran who’s previously held executive positions at Disney’s Maker Studios, Tremor Video, New York Times Digital and Conde Nast, Jason brings expertise across video, mobile and social advertising. As marketers embrace the new visual language of GIFs, Jason helps them maximize the opportunity by drawing on data from Tenor Insights, an analysis and visualization tool that helps marketers understand emotional expression and trending topics in mobile communications. VP, Products Tony is the Vice President of Products at VMware. In this role, he is responsible for overall product management for applications within the Workspace ONE Apps and Cloud Services group. A seasoned and accomplished product executive, Tony joined VMware at the end of 2015 with over 15 years of product management, engineering, and product innovation experience, primarily in the field of mobile computing. Prior to VMware, Tony held executive and management positions at Microsoft, SAP, Qualcomm, and Palm. Tony received his Bachelor of Science in Computer Science from University of Illinois at Urbana-Champaign and his Masters of Business Administration degree for Duke University. Mahesh Kulkarni is Sr. Product manager for Samsung internet in SRA leading product management, strategy, partnerships and innovation. He is currently focused on making online buying and paying on web experience pain-free. Mahesh is a veteran in web industry building web browsers, working with open source community, w3c working groups and taking web forward since 2005. David Kwon is the Director of Global Business Development and Partnerships at Samsung Electronics. David's team identifies, engages with, and manages the development of new apps, features and capabilities with an expanding eco-system of partners throughout the world. Working closely with cross functional teams within Samsung, David's team also develops new concepts supporting Samsung's Connected and Smart device strategy. Prior to his role at Samsung, David has held leadership positions managing teams at the the top telecom operators in the US focusing on IoT strategy. With a deep rooted background in IoT across verticals (Auto/Transportation, Retail, Utilities/Energy, Public Sector/Gov, Manufacturing, Healthcare, Smart Home/Smart Cities and others), David brings a unique perspective to Samsung. As a recognized industry leader, David channels his experience and expertise to bring Smart solutions to consumers by leveraging Samsung's core competencies coupled with partner capabilities. Patrik Künzler received his medical doctorate from the University of Zurich. Afterwards he joined the Nobel laureate Dr. Susumu Tonegawa at MIT in Cambridge USA, to do his post-doctorate research on the limbic system. Patrik then joined the Smart Cities group of Dr. William J. Mitchell at the MIT Media Lab. In 2008, he moved back to Switzerland and started Limbic Life with its innovative, "Design follows BRAIN function" design approach and created the Limbic Chair. He has received several patents for his studies while working with companies such as General Motors, Ferrari, Frank O. Gehry Architects, and VW. Seogju Lee is a member of the Corporate Development Group of Samsung Electronics. Seogju joined Samsung in 2010 and is involved in sourcing, assessing, and executing strategic opportunities. Prior to Samsung, Seogju was an equity research analyst for 11 years at Goldman Sachs, where he covered US semiconductor companies and also launched coverage of emerging technology/private company research. Seogju was also a mentor in the Society of Kauffman Fellows (Class 16). Head of Security Engineering, Product owner of Fundamental Device Security in MCD, Developing TEEs including Samsung Secure OS (TEEgris), Device Encryption, Rooting Detection and fundamental Security Solutions in Mobile Devices. Member of Global Platform and IEEE, Global Platform 1st Hackathon, Judge and Mentor, Participated in Project of Samsung Pay, DTV Security, Smart Things Security, Samsung Messenger (Chat-on), Trust-call. Ph.D of Electrical Engineering (Information Theory) and Mathematics. Stan Lee, the chief creative force behind the rise of Marvel Comics, brought to life some of the world’s most famous heroes and infamous villains, including Spider-Man, The Hulk, X-Men, Fantastic Four, Iron Man, Thor, Daredevil, Dr. Strange, The Avengers, Loki, and Dr. Doom. His stories featured heroes and villains that were more psychologically complex than had ever been seen previously, inspiring legions of fans. According to his autobiography, Excelsior, “Lee put the human in the superhuman.” As a producer, writer, editor, publisher, actor, host and executive, and idol to many, Stan ‘the Man’ Lee has left an indelible mark on the entertainment industry having created or co-created 90% of Marvel’s most recognized characters. These creations have spawned books, films, television series, video games, web series, Broadway shows and more, offering a steady stream of box office. UX designer with a background Universal Design. She currently works as a designer at Samsung Electronics and is actively involved in the Gear Watch Designer and Samsung 360 Round camera UX. Her motto is designing meaningful ideas and creative works. Jae Jun Lee leads the Product Management (PM) and Cloud Platform at Mobile Communications Business in Samsung Electronics. As the VP and Heads of PM team, he drives product planning for all Samsung mobile services and features, which include Bixby, Samsung Pay, Samsung Connect and DeX. With a customer-focused vision, PM team establishes product roadmaps and priorities for global services developed by Samsung Mobile. The Cloud platform group defines and develops cloud infrastructure services for all Samsung cloud-based services. As part of this, the Cloud Platform operations team provides 24x7 global production and support services. Prior to joining Samsung, he held various technical and management positions at Yahoo!, Motorola, Oracle and Bellcore in the US. Yong Jin Lee is currently Senior Vice President at Samsung’s Mobile Communications Business. He is the head of the New Device Lab, where his responsibilities include the development of next generation wearables and health-related sensors and algorithms for current and next generation flagship devices. Dr. Lee was the CTO and SVP of Engineering at Salutron where he was the principal investigator for over a dozen research programs on physiological monitoring and wearable devices for NASA, DARPA, Office of Secretary of Defense, US Army Medical Research, Office of Naval Research, and Department of Homeland Security. Dr. Lee was also at Veeco and Texas Instruments.Dr. Lee holds BS, MS and PhD degrees in Electrical Engineering, AB in Economics, and MS in Engineering management, all from Stanford University. Dr. Lee is a recipient of F.E. Terman Award, and member of Tau Beta Pi, and Phi Beta Kappa honor societies. Yoon C. Lee is Senior Vice President, Head of the Product Innovation Team (PIT) and Head of Content and Services at Samsung Electronics America. He oversees the creation of consumer insight-based innovative concepts for strategic mid-term products across all product categories. He also oversees the Content & Services teams, which create software products for devices including Virtual Reality, Samsung Family Hub refrigerator and other emerging platforms. Yoon has 20+ years of product design & development experience. His industry experience includes automotive, aerospace, consumer electronics, retail, industrial equipment and telecom services. Previously, Yoon was VP of Insight Concept & Portfolio at Samsung Electronics in South Korea, leading Samsung Home Appliance’s midterm products and portfolio development. Yoon earned his PhD from the University of California at Berkeley. Jamie Leece serves as Vice President, Games & VR for MLB Advanced Media (MLBAM), LP, the interactive media company of Major League Baseball. In his role, Leece is responsible for MLBAM’s gaming & virtual reality (VR) divisions and the worldwide strategy for all games and VR initiatives. Included among those is the in-house production and successful multi-platform launch and annualization of R.B.I. Baseball, marking the return of an iconic franchise brand and becoming the first professional sports league to develop and distribute its own console video game. Other MLB-developed titles include the award-winning MLB.com Home Run Derby, a mobile and VR game featuring the popular All-Star Week competition, and the revolutionary MLB.com At Bat VR app, the first-ever live game complete sports experience built for a virtual reality environment. A 25-year veteran of the gaming industry, Leece has overseen, sales, marketing, development and licensing relationships across multiple platforms and gaming generations. Prior to joining MLBAM, he was intimately involved with critically acclaimed video game brands such as Halo, Max Payne, Guitar Hero, Temple Run and Conflict Desert Storm, among others. Eun-taek is a passionate and mindful service designer. As the lead PM for Bixby Voice service, he has thoroughly encouraged his team to envision the long term growth and nurturing of Bixby. In his 15 years at Samsung, he led several major projects including Connected Auto and Samsung DeX. Prior to joining Samsung, he received his Ph.D in Industrial and Operations Engineering. 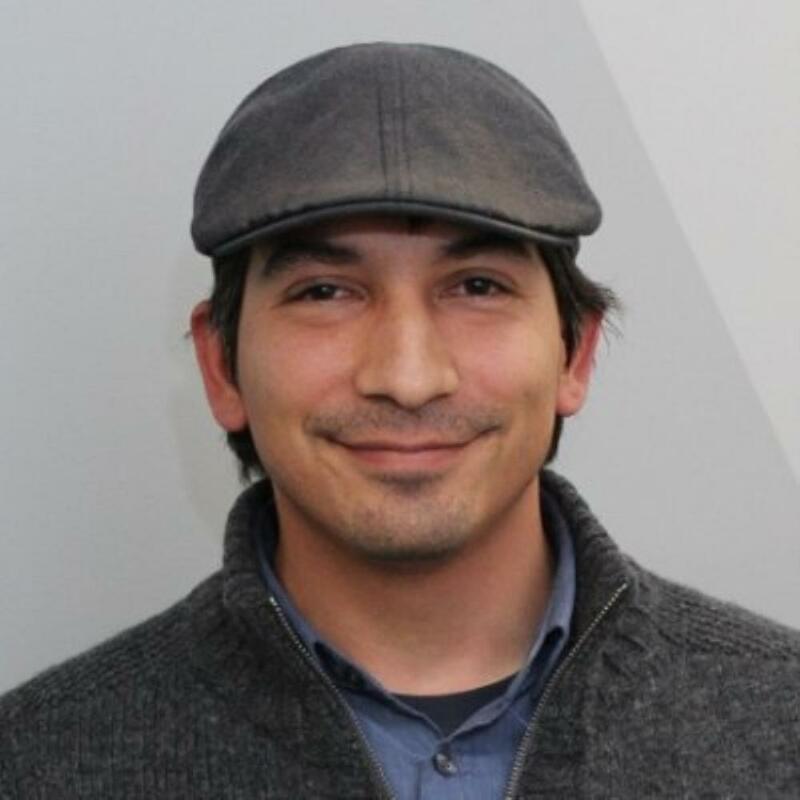 Manny Linhares is Director of Strategy, IoT, for Legrand North America. In this role he oversees all elements of the company’s efforts to design and develop connected products for power, light and data applications in commercial and residential markets. Prior to this role, Linhares led strategy for Legrand’s Data Communications Division, focused on the data center & building network market. Linhares has also held positions with Eaton Corporation and Schneider Electric managing R&D, applications engineering, project management and sustainability initiatives. He holds a B.S. in Manufacturing Engineering Technology from the New England Institute of Technology and an MBA from the University of Rhode Island. Shengying is a software engineer at uSens Inc, which creates interactive and immersive solutions for augmented and virtual reality. Holding a Master’s degree from Clemson University, USA, Shengying joined uSens at the beginning of 2016. As a full stack engineer, Shengying leads the development of ARVR content using uSens 26DOF hand tracking and 6DOF position tracking solutions in Unity 3D, Android, OpenGL and Unreal platforms. Melanie Lombardi was born in El Salvador and speaks fluent English, Spanish, and French. She moved to the United States after obtaining her French Baccalaureate from the French School of San Salvador in 2007. She then completed a two year program in Graphic Design at Bunker Hill Community College. Later on, she discovered the field of Computer Animation, which does not exist in her country of origin. She received her B.F.A in Computer Animation from Ringling College of Art and Design in 2014. After graduating college, she worked as a 3D Animator at an educational games company. In 2015, she discovered Samsung themes and watch faces and started designing them as an individual seller. In 2016, she co-founded Echo Visuals, Inc. and became a Samsung partner. She is now the President and Designer at Echo Visuals and focuses on creating themes for Samsung Galaxy phones and watch faces for Samsung Gear devices. In his current role, Arturo leads Content Operations for the GALAXY Apps Store. A strategist and creative innovator, he has deep experience in digital media at companies like Apple, Warner Music, and Samsung. He is passionate about the digital media ecosystem and how to translate exciting opportunities generated by emerging technologies into great partner and user experiences. He holds an MBA in Design Strategy from California College of the Arts, and a BS in Sound Engineering from Vicente Perez Rosales University in Chile. Arturo is an avid record collector and can be found at most garage rock shows in San Francisco. Dan Macias leads the Client Engagement team at Visa focused on merchant & partner integration with Visa’s Digital Products. In the 4+ years at Visa, Dan worked on the initial launches of Visa Checkout and Visa Token Service. Dan leads a team responsible for sales engineering, solution design, and integration of Visa’s digital products, with the goal of growing payment volume, increasing conversion, and reducing the cost of fraud across merchants and partners in the US and Canada. Prior to Visa, Dan held leadership positions in Professional Services and Global Operations roles at Marketlive and Hewlett Packard. Nathan Martz is the Product Lead for Google's AR/VR developer platform. His team's mission is to "make awesome easy", to provide developers with a creative platform that lets them focus on building the best possible experiences in AR and VR. Before joining Google, Nathan was a game developer at Double Fine Productions and LucasArts, where he worked on Star Wars: Republic Commando, Psychonauts, Brutal Legend, and Sesame Street: Once Upon a Monster. Will Mason is the co-founder and President at Upload, a multifaceted company focused on education and community in the VR/AR industry. Mason is also the founding editor in chief of the UploadVR.com publication, the world’s largest site focused on covering the Virtual and Augmented Reality industries. A 2017 Forbes 30 under 30 winner, Mason is focused on technologies that will impact society in major ways for decades to come. Outside of work Mason is an avid fisherman, movie nerd, and terrible gamer (but that doesn’t stop him from loving games). As CMO, Marc leads U.S.-based marketing across all lines of the company’s business including home entertainment, home appliances, and telecommunications. He also leads the Global Marketing Center of Excellence, designed as an incubator for marketing innovation and excellence across the company. Marc is a storied marketing veteran known for developing talent, digital innovation, and driving big ideas across the business. Prior to joining Samsung Marc served as the senior vice president of global marketing at Unilever where he launched the “Crafting Brands for Life” campaign and drove the company’s global marketing strategy. Marc also served as senior vice president of global brand marketing at Coca-Cola, where he is credited with branding Coke’s turnaround with the “Open Happiness” strategy and the “Coke Side of Life” global campaign. Marc is a marketing maverick in today’s digital world, specializing on building brands with purpose and a self-proclaimed data enthusiast. He has a passion for theater and sits on the Board of Directors for the Almeida Theatre and Punchdrunk. Citizen of the world, Marc was born and raised in France and has variously lived across Asia, Europe and America. He now divides his time between London and Los Angeles. After 20 years of experience with startups, Steve McElwee joined the Golf Channel as Vice President of Technology in November of 2012. As the head of the product and technology groups, he brings new products to millions of users across all of Golf Channel’s digital brands. Steve is a graduate of Southern Illinois University with a B.S. in Computer Science. David McIntosh is co-founder and CEO of Tenor, the largest mobile GIF platform. More than 300 million times daily, across apps like Facebook Messenger, LinkedIn and many more, people search Tenor for just the right GIF to help them communicate their thoughts & feelings. A successful entrepreneur, David previously founded Redux, a video discovery service that was acquired by Crunchyroll. He was named to the Forbes 30 Under 30 list in 2016 and was recognized as one of the 15 most promising entrepreneurs under 25 by BusinessWeek in 2007. David is Director of Business Development at Yelp. He focuses on mobile growth partnerships and the Yelp Fusion API, which brings rich Yelp content and new features, such as Yelp Reservations, to thousands of partners and developers across multiple industries. Yelp is a Top 20 web property in the U.S. and operates in 33 countries. Emily McReynolds is a researcher at the University of Washington Tech Policy Lab. The Lab is an interdisciplinary research collaboration of the UW's School of Computer Science & Engineering, Information School, and School of Law focused on emerging technology with the goal to strengthen and inform tech policy. Her research centers on privacy, anonymity, and security with an emphasis on policy surrounding emerging technologies. Emily's work includes analyses of the privacy and security impact of Internet of Things devices, privacy in the technical process of big data, and the implication of the introduction of AI agents in the home. Emily has a J.D. and before getting into policy work she used to teach people how to use computers. Neil's work uses digital and mechanical technologies to bring inanimate objects and spaces to life. Using this medium, he explores the absurd, the humorous, the futile and the surreal. He was born and raised in the UK and is currently based in Los Angeles. His artwork has been exhibited by The Science Museum, The V&A, Watermans, Currents New Media Festival, PICNIC Festival, The AND Festival, ISEA, Kinetica, The Nottingham Playhouse, The Barbican, BBC Big Screens and The Museum of London, Young Projects Gallery, Arena 1 Gallery and Oi Futuro among others. He has worked for a wide variety of clients including Accenture, Adidas, AntiVJ, Arcade Studios, Audi, Bentley, Brother, Burton Snowboards, Doritos, Ford, Guild LA, HTC, LCF, The Light Surgeons, Moving Brands, New Angle, Nokia, Nuit Sonores, O2, Orange, Poke, Swatch, Universal Everything, Wieden & Kennedy and Wired Magazine. He is also a co-founder of is this good? Nicolas Meuleau is a researcher in AI with an expertise in decision making, automated planning, and machine learning. During his 25-years career, he developed and deployed autonomous decision systems for a variety of application domains, including space, aeronautics, automotive and finance. He recently joined Unity as Director of AI Research to promote the development of AI tools in Unity. David Miller is Vice President, Product Management, for Advanced Concepts at Mattel. He and his team explore emerging technologies and develop new and fun play patterns for the mass consumer. In other words, they make emerging tech FUN! Prior to joining Mattel, David was Vice President of search product management and data analytics at Yahoo! David holds a B.S. in mechanical engineering from the University of Michigan, an M.S. in mechanical engineering from Stanford University, and an MBA from The Wharton School, University of Pennsylvania. He lives in Los Angeles with his wonderful wife, his two boys, and a whippet named Moose. Dan is a XR evangelist at unity. He has been working in game development for several years as a developer with a recent focus in VR. He's excited to help others explore the forefront of VR and the many unique opportunities it presents. Pranav Mistry is a scientist and inventor. In his role as the Senior Vice President of Research, Pranav leads Innovation and New Product Categories at Samsung. Pranav’s contribution to the fields such as Augmented Reality, Wearable Computing, Computer Vision and Machine Learning puts him in the elite list of pioneers and inventors that shape the future of digital world. For his contribution to the advancement of digital computing technologies, Pranav has been honored by many prestigious international awards. He was awarded the 2009 ‘Inventor of the Year’ Award by Popular Science. He was also named to the MIT TR35 as one of the top 35 innovators in the world under the age of 35. In 2010, he was named to Creativity 50 – the list of top 50 creative people in world. Mistry has been listed as one of the 15 Asian Scientists to Watch by Asian Scientist Magazine. Recently, GQ India listed Pranav as one of the most powerful Digital Indians and was named among the 37 Indians of Tomorrow by India Today. Mistry has been called “one of ten, best inventors in the world right now” by Chris Anderson. World Economic Forum honored Mistry as one of the Young Global Leader 2013. In David’s role as VP of Emerging Platforms, he is responsible for AccuWeather’s suite of universally-accessible mobile and connected products within the emerging platforms marketplace. He spearheads the integration of current and new data sets within emerging platforms –including smartphones, tablets, connected TVs and appliances, wearable devices, smart cars, smart homes, and more. David is a technology visionary, at the cutting edge of making AccuWeather’s data available to users everywhere, on every popular device, customized to meet the specific needs of users regardless of location. David has significant experience architecting innovative, monetized business models and partnership agreements with AccuWeather’s key partners, including the world’s leading OEM’s and ODM’s which now produce over 100 million connected devices each year that feature AccuWeather as the weather-provider of choice. A visionary whose creativity and innovation transcends all platforms, GMUNK has established himself as one of the top visual and design directors in the world. His game-changing techniques use lighting and material studies to design bold imagery in both the live action and interactive worlds. Utilizing a unique fusion of science-fiction themes, psychedelic palettes and practical effects, his signature style transcends conventional definitions. June Na is a senior technical consultant and global head of Samsung’s Knox Customization business unit which allows low-cost off-the-shelf devices to be tailored to meet the specific business needs that have traditionally been served by purpose-built devices or appliances. Prior to this role, June has worked at Samsung for over 14 years in a variety of technical consultative business roles serving the needs of enterprise customers. June holds a Masters degree in computer science and has an extensive background in software development. Peter is a Developer Advocate for Samsung Internet, the web browser for Android, Gear VR and DeX. 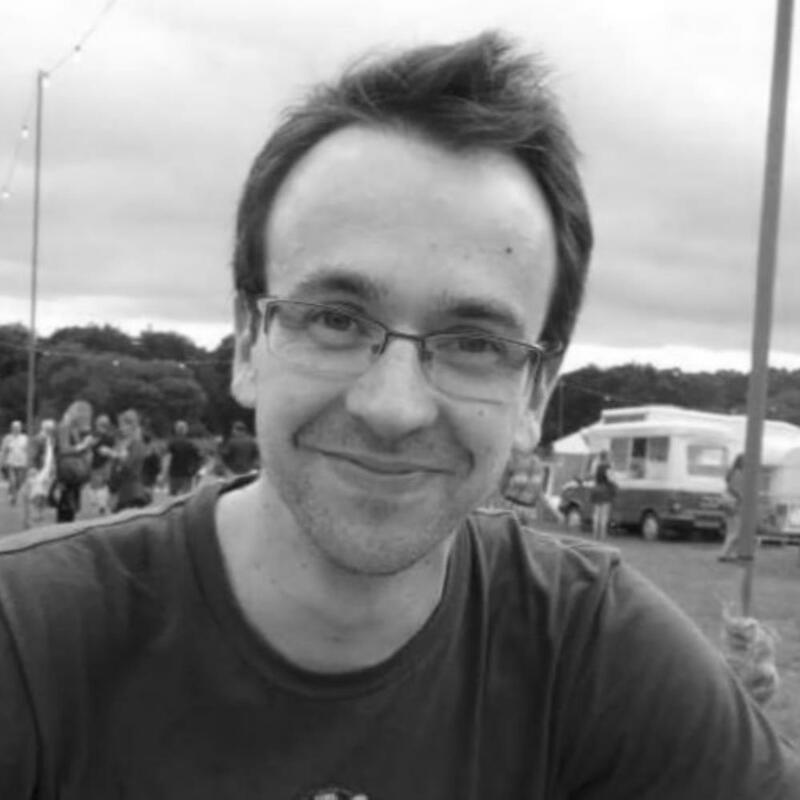 Peter enjoys coding demos, writing blog posts and speaking at events about the latest web technologies. He has been a developer in various industries since 2003, with a growing focus on innovation and the web. Previously he helped the world's largest education company to experiment with new technologies and led the development of a Bluetooth locker application for a global logistics company. In 2016 he joined Samsung to help developers create excellent web applications. With a successful career spanning over 20 years in software development, Victor has extensive experience building enterprise solutions with the Java-based technology stack. Victor joined the devoted family of Android developers fairly early in the game, shipping his first app for the Android Donut release. As an experienced hands-on architect and educator, Victor now combines his expertise with his passion as a Samsung DeX Evangelist. Victor connects the worldwide developer community with the world of Samsung Mobile technologies. When he's not traveling around the world to meet with developers, Victor bikes to work in his home-town Vancouver, two hours a day, rain or shine. He holds a Masters Degree in Computer Science from Moscow State Institute of Radio Engineering, Electronics and Automation. Rain started her YouTube channel in April 2015 and her first video, a cover of Rihanna’s hit song “BBHMM” immediately went viral and to date has over 1 million views. Her viewership has grown steadily with each new video that she posts. Rain has covered everyone from Imagine Dragons, Ed Sheeran, Clean Bandit, Sia, The Chainsmokers and many others. Currently, Rain is managed by David Gold of D3M Licensing Group and G6 Licensing and Productions who is known for his work with chart-topper Flo Rida. D3M/G6’s executive team will help build Rain’s brand and offer network support. To that end it was revealed on July 18, 2017 at his birthday party celebration in Hollywood that Stan Lee would be transitioning into the next artistic phase of his career by launching into the music industry by endorsing, supporting and partnering with Rain. Brad Park is a creative technologist and entrepreneur to make new business that demands strong technology, innovation and creativity. As the Vice President and Group Leader of Big Data R&D at Samsung Electronics, he is working on development of Bixby and Artificial Intelligence Service. In addition, he is an inspiring leader with highly engaging and collaborative attitude. Prior to joining at Samsung, he was an entrepreneur of several mobile startups in Silicon Valley. His startups have been focusing on entertainment and advertisement platform on the mobile OS. Over the past 20 years, he has worked with the world top class team in major software disciplines, including SDK license, multimedia, e-commerce, internet service, online social games, mobile software and artificial intelligence. Colin is a Software Engineering Manager at McAfee, LLC. In this role, he leads core mobile engineering team in Seoul, Korea and responsible for anti-virus software, partner delivery and innovative security products. He has experience in a variety of software engineering industries in global firms such as mobile, cloud, virtualization and internet service for worldwide major mobile carriers and manufacturers. Jihoon is a Principal Engineer at Samsung Electronics, leading the Tizen IoT Service team. Currently, his team is developing “Tizen Things SDK for SmartThings”, a useful method to create an IoT-ready device connected to the SmartThings Cloud. He is passionate about developing effective frameworks that provide users valuable Tizen-based services and also designing efficient development processes that ultimately makes developers' lives easier. Youngjoo is a Principal Engineer at Samsung Electronics and leads Tizen app development. He played a crucial role in releasing Gear series and Z series products by leading the development of watchfaces, home screen, rich notifications and various interactive widgets. Currently, he is focusing on Tizen .NET app development and Tizen IoT service development to prove Tizen's versatility and flexibility. More importantly, he never stops reaching out and listening to developers out there. He received his Ph.D. from Texas A&M. Robert Parker is the CTO of SmartThings, where he has led the company’s product and engineering teams for the past 1.5 years. Prior to joining SmartThings, Robert served as the Director of Engineering at Amazon, spending five years working on the company’s top projects, including: Alexa, Fire TV and Prime Music. Prior to Amazon, Parker spent 18 years as a General Manager at Microsoft. Robert is also an industry awarded and recognized technical leader in the IoT and tech space, holding more than 20 patents of his own. Now a Senior Technical Advisor, until recently Ray Perrault was Director of SRI International’s Artificial Intelligence Center 1987-2017. He was co-PI of the DARPA-funded CALO Project, a multi-institutional project to develop an enduring personalized cognitive assistant. Several technologies developed on that project were the seeds for several spinoff companies (Siri, SocialKinetics, TrapIt, Desti, Tempo) and for transitions to military applications. He is Fellow of AAAI, has been President of the Association for Computational Linguistics, President of the International Joint Conferences in Artificial Intelligence (IJCAI), Co-Editor-in-Chief of Artificial Intelligence and won IJCAI’s 2011 Donald E Walker Distinguished Service Award. To see Rob Prior paint is to experience a glimpse at the impossibly bare singularity of creativity. He paints with both hands, sometime on two canvases at once, and often with his eyes closed. For more than thirty years, and for an audience number­ing in the millions, Prior has elevated the act of placing pigment onto paper to the level of performance art. Prior’s works have appeared in galleries across the United States and around the world. His paintings of monsters, myths, and superheroes have hung in some of the most prestigious museums around the world. His creations go so much farther than just the art on the canvas being called one of the top intellec­tual property creators alive today. Prior has worked almost non-stop as a professional artist since he was 13, and his commercial works include illustrations and covers for Dungeons & Dragons, sculptures and props for Joss Whedon’s Firefly, and original monster creations for Buffy the Vampire Slayer. He’s also completed numerous commissions for film studios, including LucasFilms productions, HBO’sGame of Thrones, and more than a dozen other publications and production houses. 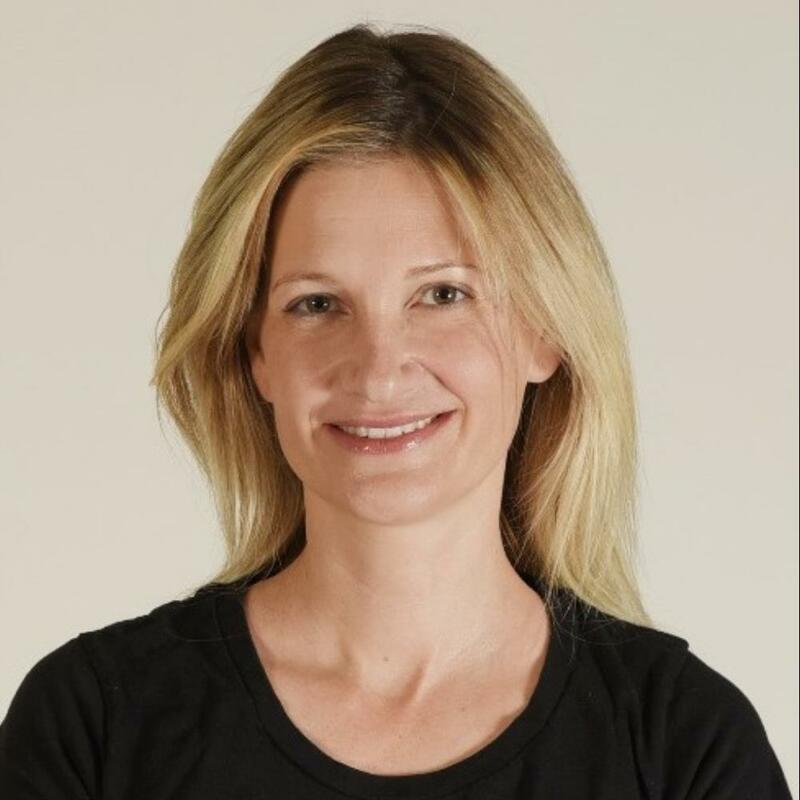 Yelena Rachitsky is an Executive Producer of Experiences at Oculus, sourcing and producing content around entertainment, news, documentaries and experiential work on the Oculus platform. Prior to Oculus, she was the Creative Producer of the annual Future of StoryTelling (FoST) summit which brings together top executives, marketers, creatives, and technologists with the vision and influence to change how people communicate and tell stories in the digital age. Rachitsky is a consultant for the Sundance Film Festival’s New Frontier program, and helped to curate the exhibition and conversations around the future of the moving image at the festival. She also spent four years in the documentary division at Participant Media, working on films like Food Inc and Waiting for Superman. Abhi leads the product direction for Samsung’s ARTIK IoT cloud platform. Prior to joining Samsung, Abhi led product management and product marketing for all things IoT at Apigee (now part of Google Cloud). Before Apigee, Abhi worked at eBay (Magento commerce), Microsoft Tellme (voice recognition), A.T Kearney (management consulting), and Oracle (CRM and enterprise software). He holds an MBA from the University of California, Berkeley, a master’s degree in computer science from Texas A&M University, and a bachelor’s degree in computer engineering from the University of Mumbai. Dr. Injong Rhee is CTO and EVP of Software and Services, Mobile Communications at Samsung Electronics. Having joined Samsung in 2011, Rhee’s vision was to increase the core competency of Samsung’s software and services. This was soon realized through the launch of award-winning technologies, Samsung KNOX and Samsung Pay in 2013 and 2015 respectively. Recognizing the growing importance of data security and privacy, Rhee led the development of KNOX, a proprietary security platform built into more than 200 million Samsung devices around the world. The product has received an extensive list of government security certifications, including accreditations from the USA, UK, France, Australia, and China. KNOX has also been named the most secure enterprise solution for mobile devices by Gartner. Under Rhee’s leadership, Samsung Pay was launched in 2015, a product underpinned with three key principals; simplicity, security and accessibility. Samsung Pay is the only mobile payments provider to use Magnetic Secure Transmission (MST). MST is an advanced and innovative solution widely accepted around the world to enable customers to use Samsung Pay virtually anywhere. Within six months of Samsung Pay’s launch in Korea and the USA, the service garnered more than five million users and facilitated half a billion dollars of transactions. Rhee has recently led the expansion of Samsung Pay into Singapore and Spain, with plans to launch the service into a number of additional markets, including Australia and Brazil in 2016. Before joining Samsung, Rhee was a tenured professor of Computer Science at North Carolina State University. He is a celebrated inventor of the BIC and CUBIC TCP congestion control algorithms, which is now the default TCP congestion control used in all Linux and Android devices around the world. Rhee is also a recipient of the NSF Career Award and won the IEEE Communications Society William R. Bennett Prize in 2013 and 2016 for his work in human mobility modeling and wifi offloading respectively. Benton Richardson is Principal, Worldwide Business Development at Amazon, where he leads business development for Dash Replenishment Service (DRS), Amazon’s automatic re-ordering service designed to automatically resupply the smart home. He works with device manufacturers globally across a range of industry verticals to develop and launch connected devices that provide low-to-no-friction replenishment experiences for end customers. Prior to Amazon, Benton held business development leadership roles within the B2B ecommerce, education-technology, virtual world, and social media sectors. He is also a passionate entrepreneur, having founded, built and sold a wine-related small business to a major wine retailer within four years. Carlos Rodriguez is an executive Marketing leader with 18 years’ experience across product development, program management, business development and global marketing. He is currently the CMO of Bubbly, a customer engagement platform that is revolutionizing CXM in the retail space. Gaby has 10 years of experience in the mobile industry and currently she manages the Developer Support team in the U.S for Samsung Developer Program. As part of Samsung Electronics America, Gaby has been supporting internal projects as well as strategic Samsung partners and 3rd party developers to deliver their applications and services to the market. Michael Schmier serves as Vice President of Content and Services at Samsung Electronics America, leading its U.S. efforts in Virtual Reality Services. Schmier brings more than 20 years of experience as a GM and product leader in consumer web/mobile and enterprise software development. Prior to joining Samsung, Schmier was on the executive teams of four different startup ventures, which resulted in one multi-billion dollar IPO and two successful acquisitions. His last venture, Thuuz Sports, is revolutionizing the discovery and engagement for sports programming on television. Schmier holds a Bachelor’s Degree from the University of North Carolina at Chapel Hill and an MBA from Stanford Graduate School of Business. Mada leads community and developer marketing and is one of the co-founders of Branch, a deep linking and mobile metrics company. In the last year, Branch has grown a 22,000-person Mobile Growth community in 53 cities globally and now powers deep linking for over 24,000 apps and 2 billion monthly users around the world. Born and raised in Romania, Mada came to the US to study Electrical and Computer Engineering at Cornell University and then earned her Masters of Engineering and MBA from Stanford. Mada enjoys playing the latest viral mobile game, binge watching the hottest sci-fi show and photographing Branch events. She was included in Linkedin’s Next Wave, 150 top professionals in 15 industries all 35 & under and sits on the board of the App Developer’s Alliance. JeongWook has been working at Samsung Electronics since 2002, after getting a Ph.D degree for speech signal processing. He has been focused on R&D for multimedia software solutions with Windows CE, Symbian, bada and the Android platform. Currently, he is the product owner of Soundcamp. Homayoon Shahinfar leads the Open Innovation Group at Samsung Research America. He and his team are focused on Technology Strategy and Sourcing for Samsung Electronics business units. Prior to Samsung, he was the co-founder and president of Stima Systems Inc., a for-profit social impact enterprise and provider of portable pay-per-use solar energy for the bottom-of-pyramid customers in East Africa. Prior to founding Stima, Homayoon lead product and technology strategy, as well as market development for mobility businesses at BT, mBlox, Openwave Systems, and HP. He has a BS in Electrical Engineering and Computer Science from UC Berkeley, and an MBA from Sloan School of Management at MIT. Amit Sharma is Senior Development Manager. He has been working in Samsung from past 13 years with overall experience of 16 years. Currently leading a team working on Tizen Platform-Software Development Kit primarily known as TV-SDK, supporting Developers in Building apps for Samsung TV using web technologies and .NET with Visual Studio. Veda Shastri is a documentary filmmaker and immersive video journalist. She is currently a producer of The Daily 360 at The New York Times where she handles international coverage in 360 video. She recently produced the series "Genocide's Legacy" as well as an interactive from inside Fukushima, Japan. Veda co-produced a VR documentary, “Return to Chernobyl” for PBS Frontline, which released in April 2016. She was a news producer at CNN-IBN in New Delhi, India for 5 years. Keith Shin is a Principal Engineer at VD of Samsung Electronics, where he has devoted most of his R&D effort to developing speech enhancement technologies required for distant voice recognition over the past 9 years. His expertise and research interest lie mainly in array signal processing, blind source separation, and 3-d virtual audio synthesis. Ed Snider is a senior software developer, speaker, author, and Microsoft MVP based in the Washington DC/Northern Virginia area. He has a passion for mobile design and development and regularly speaks and writes about Xamarin and Windows app development. Ed works at InfernoRed Technology where his primary role is working with clients and partners to build mobile and media focused products for iOS, Android, Windows, and Tizen platforms. Ed is also the founder and co-organizer of the DC area Mobile .NET Developers Group. Ed blogs at http://edsnider.net, can be found on Twitter at http://twitter.com/edsnider, and his book "Mastering Xamarin.Forms" is available at http://book.sndr.io. Redg Snodgrass is the chairman of ReadWrite and co-founder of Wearable IoT World Inc. An entrepreneur with a corporate background, he understands how big companies can partner with and strategically leverage innovative startups. Since the launch of Wearable World, he has supported over sixty startups through Wearable World labs, hosted three conferences in the wearables and IoT space. Prior to launching Wearable World, he was Head of Innovation at Alcatel-Lucent Bell Labs where he created the first open api service across multiple global carriers. He also founded Taploid, a startup leveraging Facebook's open graph and SKOUT, a social mobile application that reached 2.5 million users. Mr. Sollberger is co-founder and Creative Director Of Pear Sports, as well as VP of Brand & Design for the parent company Innovate Partners. Previously: Creative Director Logitech Inc. (Ultimate Ears ) Directing brand, industrial design, communication, PR, and advertising. Design Lead / Creative Director Karten Design: Karten Design was named one of the top 5 design agencies in the US by Fast Company Magazine. Directing design, research, consumer insight, and brand strategy for clients like Adidas, Belkin, Blaupunkt, Fujitsu, Hansgrohe, Harmon Kardon, HP, Jabra, Kawasaki, Mitsubishi, Plantronics, P&G, Valli & Valli, Volvo, Yamaha. Mr. Sollberger has a Mechanical Engineering Degree from Technical College of Bern Switzerland and a B.S. in Industrial Design from Art Center College of Design in Pasadena, CA. Hyo Jung leads the Samsung Internet Browser team. She enjoys working with industry and academic leaders to create new technologies to solve disruptive business challenges. Her specialty includes end-to-end experiences in SW projects & technical management : planning, architecting, development, deployment of mobile SW & services, and working with the open source community and global-scale overseas R&D teams. Sai is CEO at FloydHub, a YCombinator '17 startup building a "Heroku for Deep Learning." FloydHub is a PaaS for training and deploying deep learning models in the cloud. It seamlessly handles the DevOps and engineering grunt work so data scientists can focus on the core of their problem. Prior to FloydHub, Sai was a Senior Scientist at Bing, Microsoft, where he led deep learning research efforts in NLP. He graduated from the Stanford AI Lab in '10 and was advised by Andrew Ng. Claudia brings extensive production experience from a career in the Feature Animation and VFX Industry. At Baobab Studios, Claudia has led production on the Emmy winning Invasion!, Baobab second film Asteroids!, and the upcoming Rainbow Crow series featuring John Legend. During her 10+ years at DreamWorks Animation Claudia held several leadership positions including Production Managing the hugely successful Madagascar franchise. In this role, she oversaw all aspects of production strategy from Previz through Post Production. For her work in Studio Department leadership roles her credits include Shrek2, Shrek3, Dragons2, Turbo, Peabody, Home. Previously Claudia spent 5 years working at ILM managing the Digital Matte and Rebel Mac Unit. Claudia began her career in documentary. She holds an undergraduate degree in Social Anthropology from Manchester University and a Masters in Visual Anthropology from USC. Mark is the head of product for Smart Home and IoT capabilities across Google Assistant and Google Home. Mark is also the founder iotlist.co, a platform for discovering IoT products. Prior to joining Google, Mark was Head of Connected Home Platform at Logitech. Tom Standage is Deputy Editor of The Economist. He is also responsible for the newspaper’s digital strategy and the development of new digital products, including Espresso, Economist Films and Economist VR. He joined The Economist as Science Correspondent in 1998 and was subsequently appointed Technology Editor, Business Editor and Digital Editor. He is the author of six history books, including “Writing on the Wall” (2013), “The Victorian Internet” (1998) and the New York Times bestsellers “A History of the World in 6 Glasses” (2005) and “An Edible History of Humanity” (2009). He studied engineering and computer science at Oxford University and has written for other publications including the New York Times, Guardian and Wired, taking a particular interest in technology's social and historical impact. Maurice Stebila is Harman’s CISO, responsible for IT cybersecurity, compliance and privacy across Harman’s global enterprise. Prior to Harman, Stebila spent more than 25 years with General Motors/EDS. As a CISSP, he held numerous senior IT security, compliance and risk management positions including the EDS CSO for General Motors’ Assets Management business unit managing more than $130B in assets. Internationally recognized as a leader in IT security, compliance and privacy, Stebila has managed contractual and regulatory information security and compliance in a multiplatform environment, resolving international discrepancies between information security and data privacy requirements. Author of multiple security awareness programs and information protection newsletters, Stebila was the past winner of the (ISC)2 annual Cyber Security Awareness contest and previously won the Infosecurity News magazine award for Excellence in Promoting Information Protection Awareness. Stebila believes in the importance of collective wisdom and enabling digital global information exchanges. He is a governing body member of Evanta’s CISO Executive Summit and a member of the CISO Inner Circle 100, providing security, compliance and privacy guidance and strategic direction to some of the world’s largest enterprises. Prior to founding SafeDK, lead all business development efforts at Landa Corporation - Grew business relationships with global partners in technology, IP and marketing. Business management consultant at BearingPoint, NY. Holds a BSc. Finance and International Business from NYU and Global MBA from IDC. Sridhar Sudarsan is a Distinguished Engineer and CTO, IBM Watson Platform & Partnerships. He is responsible for the technology strategy and architecture of the IBM Watson platform with strategic partners. Prior to this, he launched and led the Watson Ecosystem - a partnership program bringing Watson services, tools and expertise to several hundred ISVs, startups, universities and other partners across industries. Sridhar is widely recognized as an expert on the business potential and application of AI, Machine Learning, Deep Learning, Big Data and Natural Language Processing and is a frequent speaker at major industry events. He provides thought leadership on cognitive solutions and patterns for clients, partners, academia, IBM engineering, research and development teams to grow the Watson ecosystem. With over two decades of technology leadership experience, Sridhar has led several complex projects with customers around the world on distributed technologies, and created the Java Batch programming model. He holds seminal patents in the area, has published numerous white papers and articles, and is a featured speaker at conferences and universities. "Stephen L. Surhigh is the Vice President, Automotive Cloud Solutions for Harman International. He leads the Automotive Cloud Services solutions team that focuses on working with automotive OEMs to connect vehicles and the cloud. He has over 30 years of operations, sales and management consulting experience and has led cloud-based implementations for a substantial number of Automotive Manufacturers and Suppliers. Previously, Mr. Surhigh was the Vice President, Automotive Solutions for Compuware Corporation. In this role, Mr. Surhigh was the global lead responsible for sales and delivery of Compuware products and services to auto manufacturers and Tier One suppliers. Mr. Surhigh previously managed business development for a technology service provider where he established outsourcing engagements with UPS, HP, Microsoft, Apple, Coca-Cola, Miller Brewing, Sears, Nike, The Gap, JPMorganChase, Bank of America, Deutsche Bank, Prudential, PG&E, Sempra Energy, SunAmerica, Harley-Davidson, GlaxoSmithKline, and many other Global 2000 companies. Mr. Surhigh holds an M.B.A. from the University of Michigan and a B.S. in Computer Science from Michigan State University." Dean Takahashi is lead writer for GamesBeat at VentureBeat. He has been a tech journalist for more than 25 years, and he has covered games for 18 years. He has been at VentureBeat since 2008. Prior to that, he wrote for the San Jose Mercury News, the Red Herring, the Wall Street Journal, the Los Angeles Times, and the Dallas Times-Herald. He is the author of two books, "Opening the Xbox" and "The Xbox 360 Uncloaked." He organizes the annual GamesBeat and GamesBeat Summit conferences. He lives in the San Francisco Bay Area. Jake Taylor is a software developer at Fuse, where he builds and maintains the next generation of app development tools. With extensive experience in 3d graphics hardware, software architecture, and user experience design, he hopes to finally bridge the gap between designers and developers to help them make phenomenal app front-ends. On the side, he enjoys tinkering with cutting edge programming languages, music production, extreme data compression, and reverse engineering. Daniel Terdiman is a San Francisco-based Fast Company senior writer with nearly 20 years of experience. A veteran of CNET and VentureBeat, Daniel has also written for Wired, The New York Times, Time, and many other publications. Daniel covers cool and emerging technology such as virtual reality, drones, robotics, private space exploration, 3D printing and more. He also broke the Google Barge story in 2013, and for years produced the annual CNET Road Trip series, which he created. Daniel is a graduate of the Columbia Journalism School, and he's a big fan of Burning Man, cats, and hiking. Karthik leads the product team responsible for Cortana Devices / IOT. His team is reimaging how personal assistants operate at the intersection of ambient computing, AI and IOT to make everyone more productive at work and life. He has spent over a decade at Microsoft in various product leadership roles that span across devices, core OS, cloud platform and consumer services. Over the last few years his focus has been on IOT and has been involved in multiple IOT efforts including defining early versions of Microsoft Azure IOT cloud solution and the role of Windows in the world of connected devices. He was also the lead for a wearable platform incubation and it’s during this time he realized the potential for personal assistant AI in IOT, leading him to bootstrap the Cortana Device / IOT effort at Microsoft. Christian Tom is VP Sales and Publisher at NowThis. In this capacity, he oversees advertising revenue at the #1 most watched video news creator on social. Prior to NowThis, Christian was one of the first employees at Twitter’s New York office and also worked at Google / YouTube. He is a graduate of Stanford University. Mia Tramz is the Managing Editor of LIFE VR, Time Inc’s company wide virtual reality initiative. Since joining TIME as an Associate Photo Editor in 2013, Mia has embraced immersive digital storytelling in many forms, culminating with her involvement shaping the editorial voice of Time Inc.’s new VR brand, developing and producing VR content across the media company’s 30+ titles. LIFE VR launched as a multi-platform virtual reality brand in September 2016. Steve Tuck leads a team dedicated to helping companies achieve scale through the use of Joyent’s cloud offering, working with many top companies in media, entertainment, mobile, eCommerce and gaming. He is responsible for the strategy, operations and management of Joyent Triton Cloud. Prior to joining Joyent, Steve spent 9 years at Dell where he rapidly expanded the channel business, developed the Web 2.0 offering, and led Dell’s involvement in the Facebook’s developer program launch. Kevin Tucker a Sr. Strategic Partnership Manager on the Global Business Development team at Spotify. He currently manages the development of Spotify’s key partnerships in the home and connected devices space including partnerships in the Smart TV, OTT, gaming consoles, and voice space. Jules Urbach, Co-Founder and CEO: Jules sets the strategic vision for OTOY, and is the chief architect of the company’s technology roadmap. He is widely hailed as a pioneer in computer graphics, streaming and 3D rendering with over 25 years of industry experience. Jules built his first game at age 18, and went on to make the web’s first 3D video game platform and licensed the software to Macromedia, Disney, Warner Bros., Nickelodeon, Microsoft, Hasbro, and AT&T. His life’s work has been to revolutionize 3D content capture, creation and delivery. Vivek Vadakkuppattu has over 13 years of global experience in managing and evangelizing products in hi-tech for startups, and hyper growth companies. Vivek's areas of expertise are product strategy, business development, and marketing. Vivek currently leads the IoT, AR/VR product portfolio at Monotype. He also manages the popular font personalization app, FlipFont. He previously headed product management and marketing at Azimuth Systems playing a critical role in positioning the company for a strategic acquisition. Vivek held different product management, marketing, and R&D roles previously. He holds a MBA from NYU’s Stern School of Business, a MSEE from Rutgers University and a BSEE from the University of Madras where he was a Gold Medalist. Dushyant joined Samsung when Knox lab started within SRA. He is involved in building Knox Workspace since the beginning and has lead all the subsequent versions of the Workspace. Dushyant has also led product creation and development for host of other products under Knox umbrella such as Knox Enabled Apps, Knox Premium etc. Dushyant currently manages Knox Platform from product point of view and is in-charge of developing new services and solution in Knox. Dushyant specifically focuses on finance vertical and spends significant amount of time solving needs of finance customers. Before joining Samsung Dushyant was working at Nokia in the multimedia division managing the media framework. Dushyant has MBA from the Leavey School of Business - Santa Clara University. He also holds a MS Computer Engineering degree from University of North Texas. Scott is Co-Founder and VP of Engineering at SmartThings, where he is focused on the SmartThings Cloud Platform. As co-founder of SmartThings, he has helped the team grow the platform from just an idea to become the open platform for SmartHome and IoT. Jareau Wadé leads consumer product partnerships at Pinterest where he focuses on growth and user engagement. Before that Jareau founded and edited The Prototype, a weekly newsletter featuring consumer electronics launches. Jareau also co-founded Balanced, a payments API company, and was the first employee at Milo.com, a local shopping search engine acquired by eBay in 2010. Alison Walker leads marketing strategy for IBM Watson Content and IoT Platform, including The Weather Company (The Weather Channel and Weather Underground brands), Watson Advertising and Watson Media. Walker originally joined The Weather Company as marketing director leading brand and product marketing for Weather Underground’s global portfolio of consumer products. With a unique background blending traditional brand planning with knowledge of emerging platforms, Walker is always looking for new authentic ways for brands to communicate with their users. Alison spent a number of years creating innovative lifestyle marketing programs at Google. She began her career in advertising at Ogilvy, and has provided strategic guidance to some of the top brands in the world spanning multiple industries. Her client list includes Nestle, Purina, Unilever, Kraft, Maybelline NY, Tide, Subaru, Toyota, Dupont and many others. Walker was recognized early on for her contributions to digital advertising in Advertising Age's Top 40 Under 40 Report which highlights top advertising professionals across the country. In every role, she has dedicated a portion of her time to help nonprofits understand how to best leverage digital tools to maximize their resources and impact. Walker earned her bachelor's degree in business management and a certificate in marketing from the Georgia Institute of Technology. Anne A. Ward is a Growth Scientist, O’Reilly author and CEO of CircleClick Media. Ward has written that latest SEO book for O’Reilly entitled “The SEO Battlefield: Winning Strategies for Search Marketing Programs.” Anne was named one of the “Top 50 Inspirational Entrepreneurs to Watch in 2017” by Entrepreneur magazine. Kyle Wiens is the co-founder of iFixit, the repair community internationally renowned for open source repair manuals and product teardowns. iFixit empowers millions of people to repair their broken stuff every month. Kyle regularly speaks on design for repair, service documentation, and the environmental impact of manufacturing. Otto leads Visa's Digital Partnerships as VP of Innovation & Strategic Partnerships. His focus is identifying, structuring and commercializing compelling payments opportunities with strategic partners to extend the reach of Visa’s payment network on behalf of consumers, merchants and banks globally. Otto oversees multi-national e-commerce brands, device providers, and technology platforms that include: Samsung, Apple, Google, Microsoft, Mozilla, Pinterest, eBay, Fitbit, Garmin, among others. Otto and his team have launched global programs including: Samsung Pay, Apple Pay, Android Pay, Fitbit Pay and Microsoft Wallet with Visa Tokenization, Visa Ready Partner Program and Visa Checkout Open Platform. Prior to Visa, Otto served as a software engineer, and as an investment banking associate at Cowen and Company where he covered technology, internet and media companies. Otto holds an undergraduate degree in Computer Engineering, and an MBA from the Haas School of Business at the University of California Berkeley. Dutch tech-minded fashion designer Anouk Wipprecht wants to make fashion ahead of her time, combining the latest in science and technology to make fashion an experience that transcends mere appearances. She wants her garments to facilitate and augment the interactions we have with ourselves and our surroundings. Her Spider Dress is a perfect example of this aesthetic, where sensors and movable arms on the dress help to create a more defined boundary of personal space while employing a fierce style. Partnering up with companies such as Intel, AutoDesk, Google, Microsoft, Samsung, Cirque Du Soleil, Audi, and 3D printing company Materialise, she researches how our future would look as we continue to embed technology into what we wear. Kyoung-Gu is a seasoned research leader in the field of machine learning and data analytics field. In the grand move of Bixby project, he has been responsible for delivering natural language understanding solution with his passionate group members. After joining Samsung at 2003, he contribution to the company has been focused in information processing domain such as embedded DBMS engine, medical image analytics engine, and natural language undertanding engine. In 2014, he stayed at MILA, university of Montreal as visiting scholar. After returning from Montreal, he tried to widespread deep learning technologies within the company, and was assigned research master in 2015 from SAIT, Samsung Electronics. He got his Ph.D. degree in data mining from dept. of computer science at KAIST (Korea Advanced Instittue of Science and Technology). Brett Worthington is the Vice President of Global Business Development & Partnerships at Samsung SmartThings, the easiest way to turn your home into a smart home. In this role, he oversees the global development of SmartThings’ strategy, partnerships, services, and go to market. Prior to joining SmartThings, Brett was General Manager of Wink, taking the company from launch to commercialization and its eventual exit sale to Flex Inc. Prior to building and launching Wink, Brett held several leadership positions at Ingersoll Rand Corporation over a period of 13 years, ending his tenure as Director of Business Development of its connected home business, Nexia Home Intelligence. Before joining Ingersoll Rand, Brett served 10-years in the US Army, and is a Veteran of Operation Iraqi Freedom IV & V. Brett holds a Bachelor’s Degree from the University of Utah and resides in Los Angeles, CA with his wife and two children. Ji Soo Yi (his first name "Ji Soo") is a VP leading the Intelligence Strategy Group, which focuses on developing the third party developer ecosystem and fostering strategic partnership with key players for Bixby. Before joining Samsung, He used to be an associate professor in the School of Industrial Engineering at Purdue University. His Ph.D. and B.S. degrees were from Georgia Tech and Seoul National University. Jongheun Yoo is a server developer, and has an extensive experience on recommender systems and data science. He joined Game Service part at Cloud Platform Group, continuing his career on data analysis, visualization and buliding a recommender system for mobile games. Taewon Yun is General Manager for Global Publishing at Super Evil Megacorp, the developers of the world’s leading mobile esport, Vainglory. Taewon is responsible for the global expansion and growth of Vainglory. Vainglory, now boasts more than 12 million registered accounts and 1 billion matches played worldwide. Vainglory experienced a monumental first year in esports in 2016, awarding the largest prize pool ever for a mobile esport at $120,000 and generating 25,000+ concurrent views for its inaugural World Championship. The community has welcomed some of the largest esports franchises in the world to the Vainglory lineup, including Misfits, Echo Fox, Fnatic, NRG, Immortals and Rogue. Taewon is a passionate gamer with over 18 years of experience in game and platform development, strategic planning and execution, business development and team building. Previously, Taewon was Managing Director at Wargaming Asia Pacific where he built up the company's presence across the region and directed all aspects of growth for its flagship title, World of Tanks. He has also held positions at Blizzard Entertainment, Red 5 Studios and Electronic Arts. Taewon graduated from Seoul National University with a Masters of Science in Engineering. Leave your email address to receive updates on SDC and Samsung Developer Program. Copyright © 2019 Samsung Developer Conference 2017. All rights reserved.